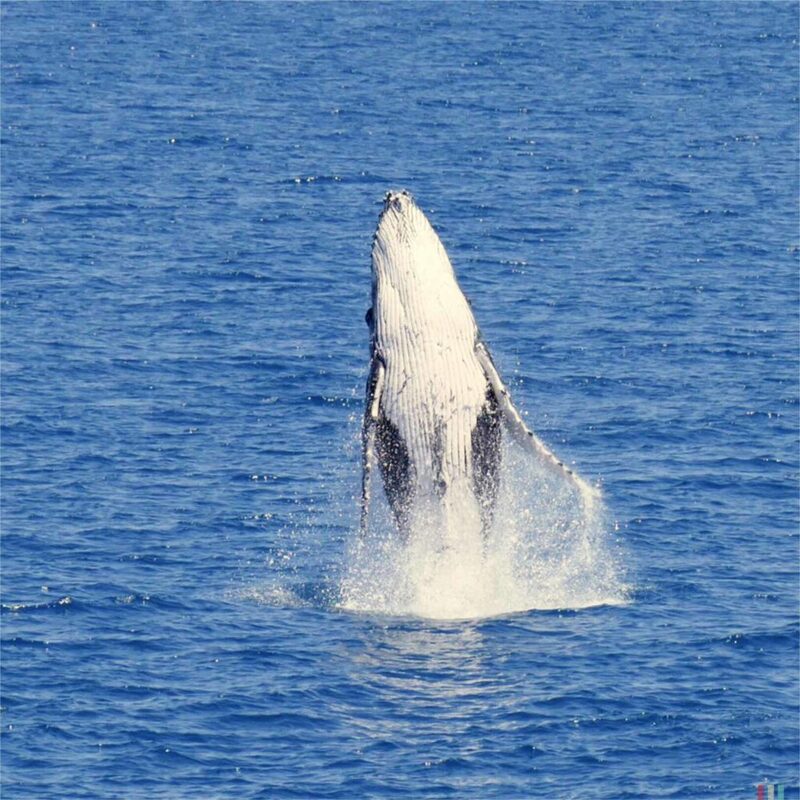 Every year thousands of humpbacks travel along the Australian east coast. We followed them for a few weeks. 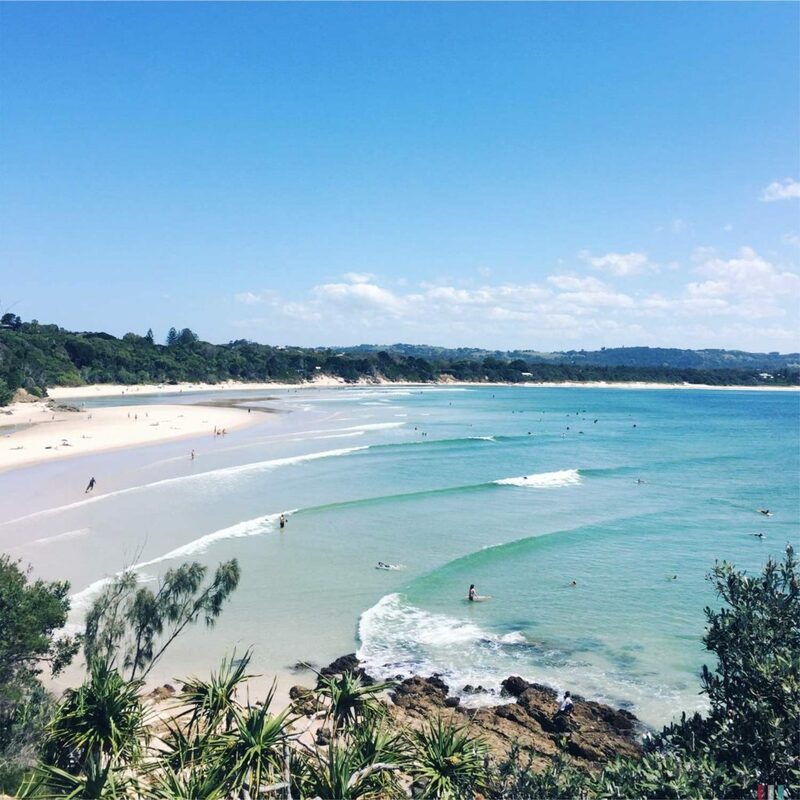 A late afternoon in Byron Bay. 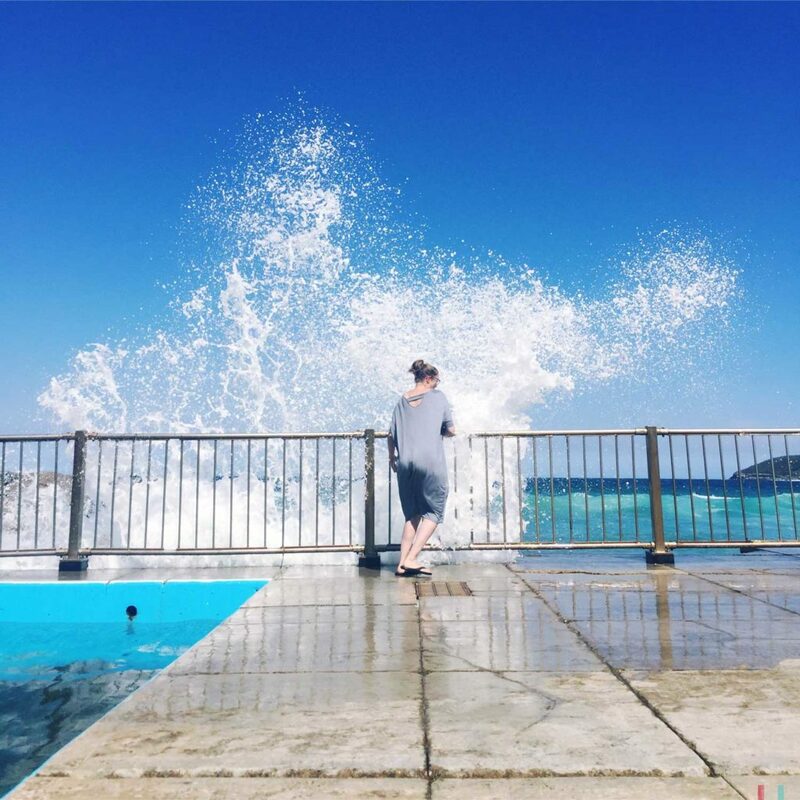 Sometimes you can see the whales even from the beach. First thing to do in Australia is to say Goodbye to the idea of packing all the great places and animals into only one route. This country is much too big. On the map everything looks pretty compact. Then you zoom in. Closer. And closer. And closer. Until you finally understand how long these distances really are. The basic feeling is similar to the USA: nothing works without a car, an airplane is advisable. And you also shouldn’t underestimate the drives themselves. The landscapes never stop, you could drive endlessly across them, sometimes you might have to steer, but there is not much more to do. That is tiring, and fatigue is the biggest danger here. 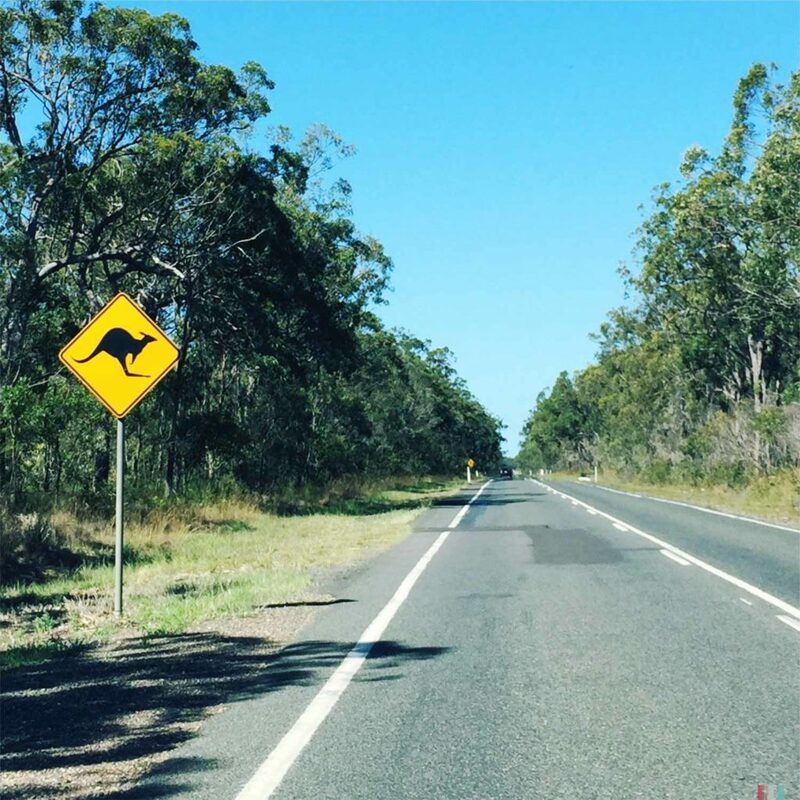 We have seen more signs warning of fatigue at the wheel than of sudden kangaroos jumping across the road. At many highways are huge boards with small brain teasers and puzzles that will be solved a few kilometers later. People are inventive. So we tried not to do too much and simply let Australia take the initiative. The basic idea was a road trip from north to south with regular stops at every second beach and every second harbor. 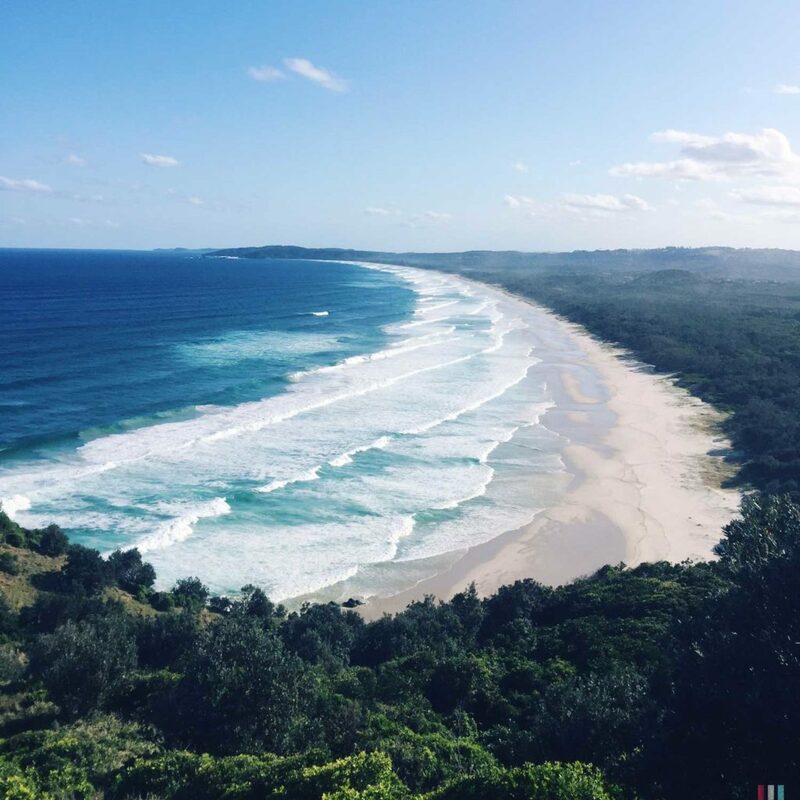 For the beaches, nothing else was planned but to relax and look at the sea. 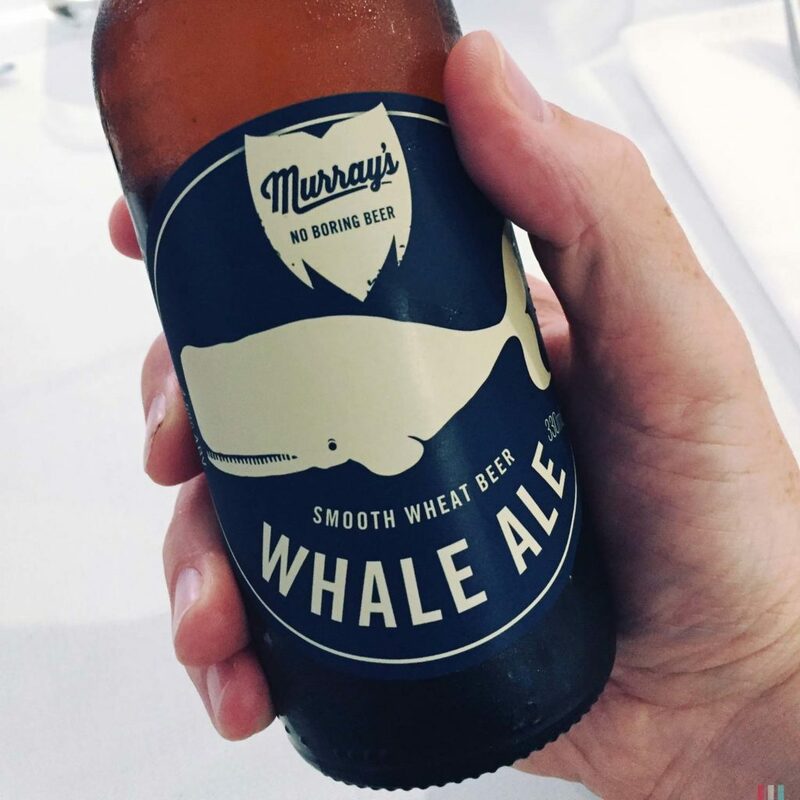 In each of the harbors we wanted to find a boat that would bring us out to the humpback whales traveling along the Australian east coast. That was the plan. The rest would follow on the way. 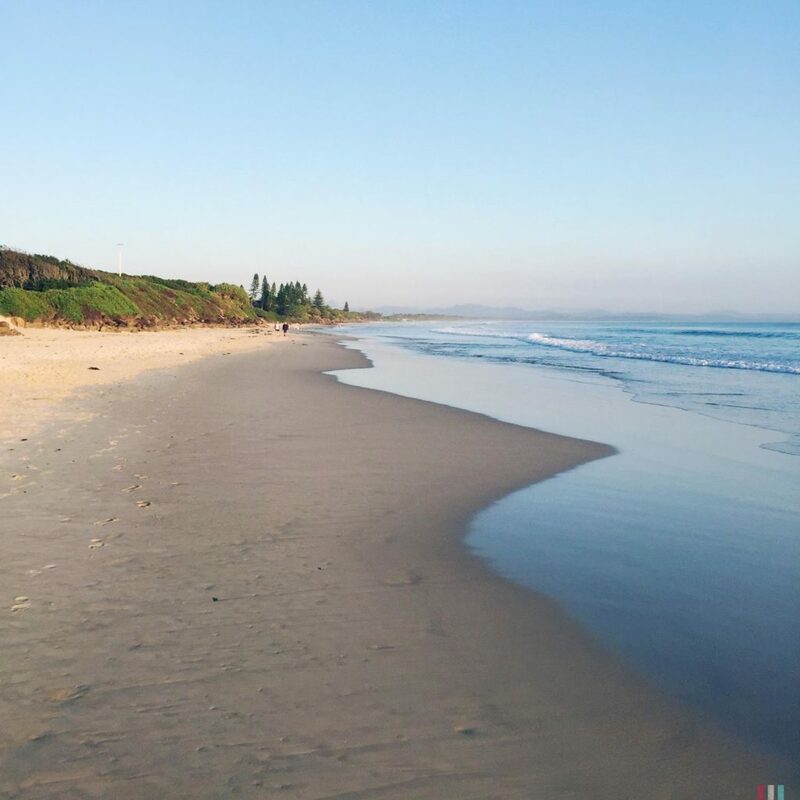 The beach of Lennox Head. 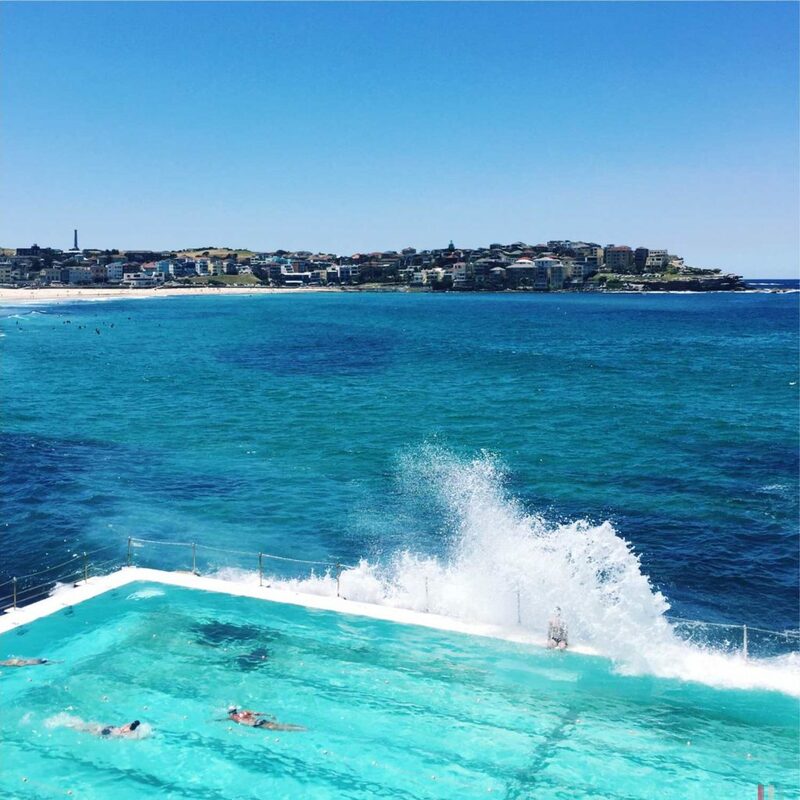 No sharks, no jellyfish, no crocodiles. Before we started our trip, I had a closer look at the situation of poisonous and dangerous animals. Maybe a bad idea. Now I was worried. 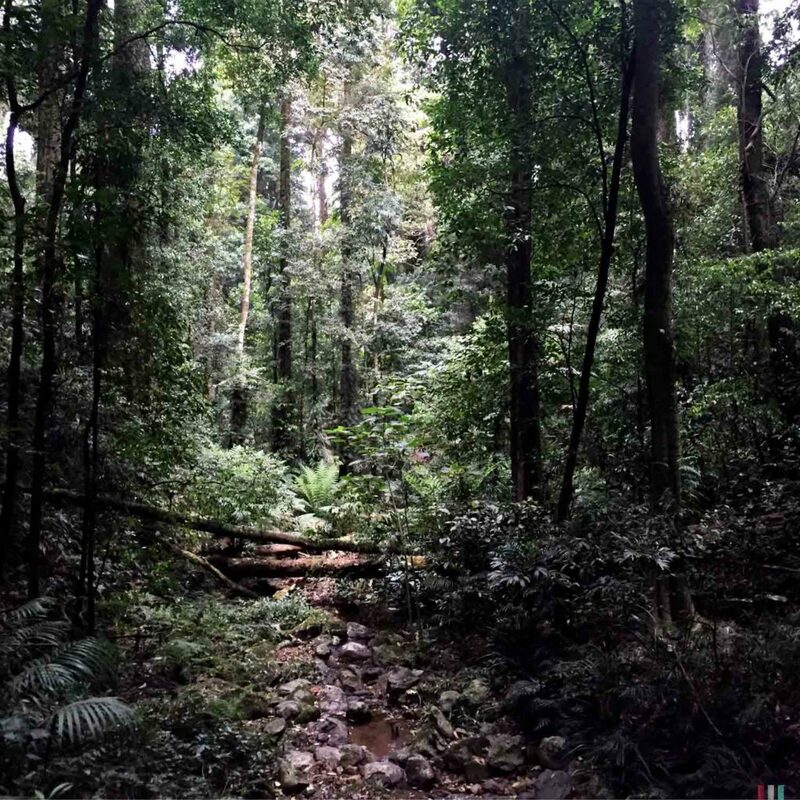 My research had shown that the dangers lurk under every stone, in every fern, behind every door and in every water: spiders and snakes, jellyfish and octopuses, sharks and crocodiles, shells and toads, ants and snails – apparently every animal here is poisonous. My biggest concern: snakes and spiders. 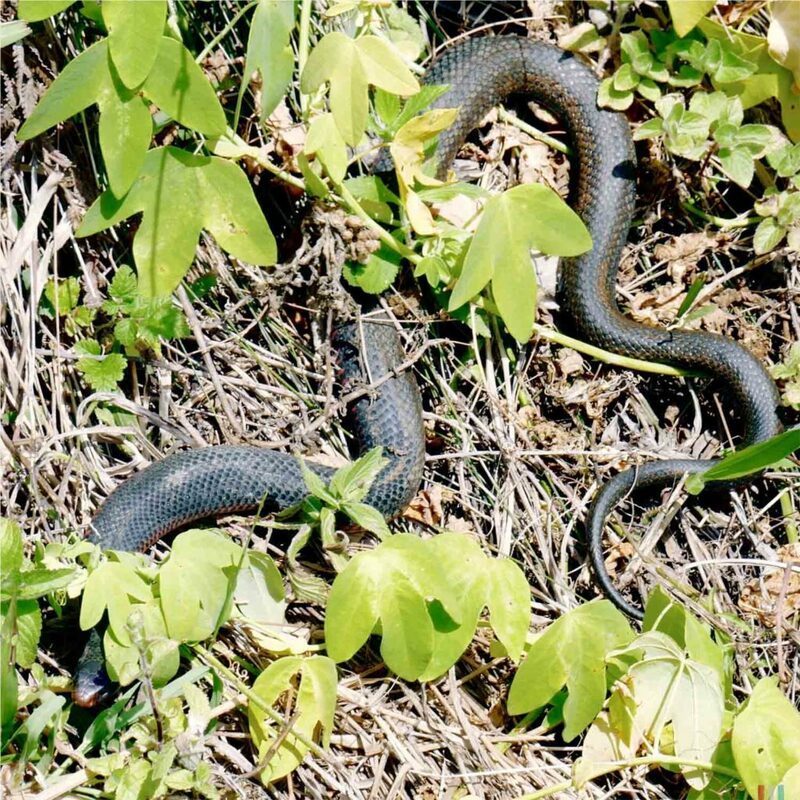 Australia is home to some of the most poisonous snakes in the world, there are even more poisonous snakes here than nonpoisonous ones, and the question is: why? There are even spiders that can bite through a thin shoe! I am often very enthusiastic about all kinds of animals. But in Australia, from my point of view, it was all about the bare survival. 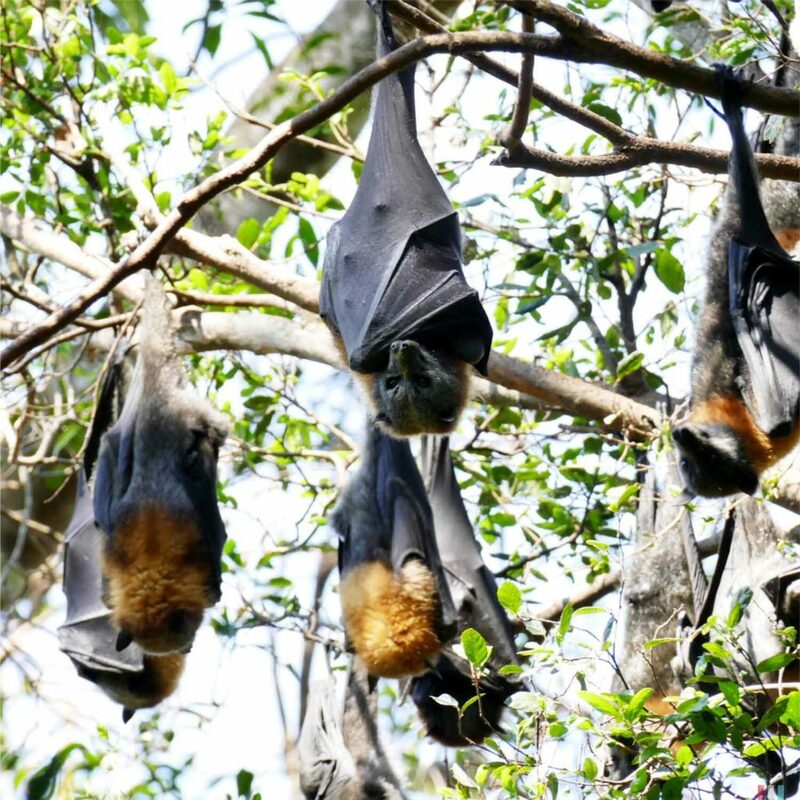 The Australians get along with this situation – and, by the way, have contributed a great deal to research in the field of poisons: for almost every nasty poison here there is a very potent antidote. However, Australia also has animals whose poison is quite fatal within ten to fifteen minutes. And unfortunately my research had left out the topic ‘availability of antidotes’. So from time to time I was a little nervous, and sometimes I really got on Theresa’s nerves. 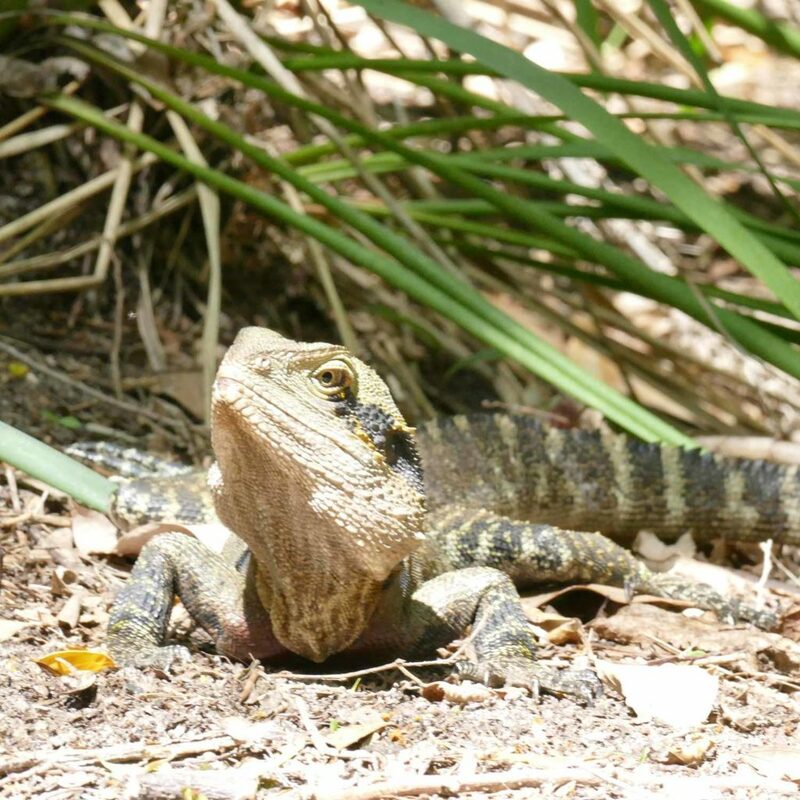 She is generally a bit more resolute than me and asked me to be more relaxed, as the Australians would also be able to cope with these animals. A few days later, when we had a REALLY GIANT MONSTER SPIDER stuck to the outside of our window at night and I wasn’t too sure how safe that window was, I tried to be as relaxed as an Australian would be. They do sleep here, too. The next morning our host just laughed and said that this was probably a Huntsman Spider. He said it was quite common here, but it wasn’t dangerous. Still, it would hurt a bit if it bites. But normally it wouldn’t bite. Haha. 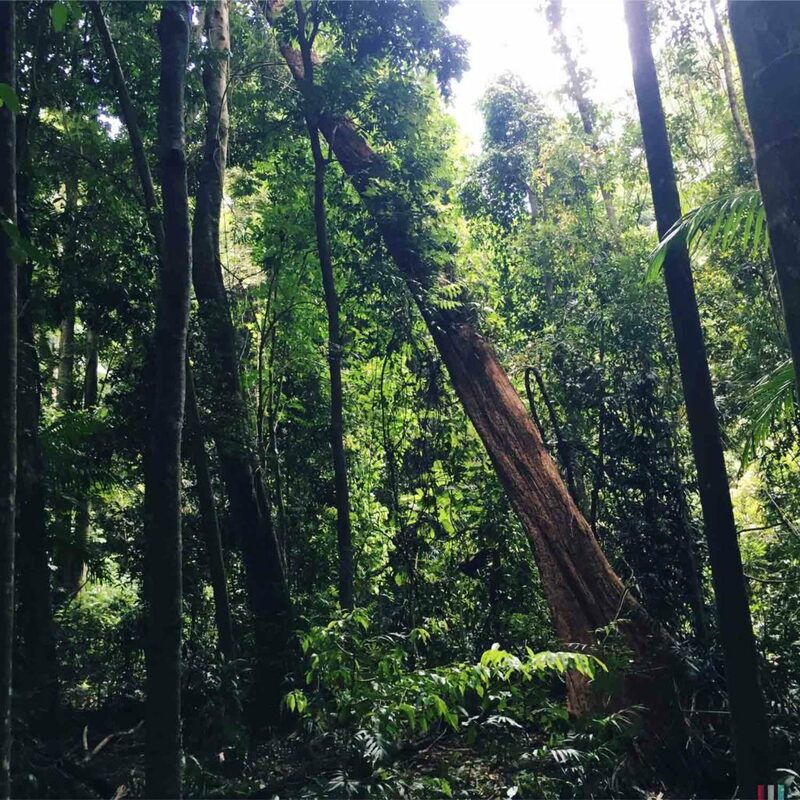 He also said that he had been bitten or stung by almost every poisonous animal here over the years and that he was very confident that we would absolutely survive our stay. At first this only soothed me a little. But in the end, I must admit, he was quite right. 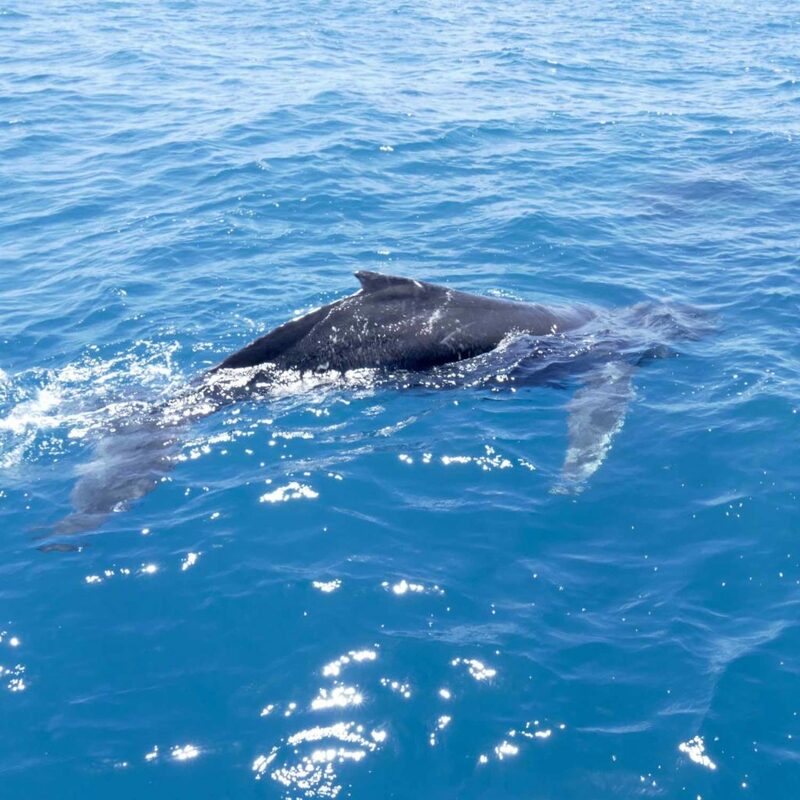 Just another day in Hervey Bay: meeting the humpback mum with her newborn baby. 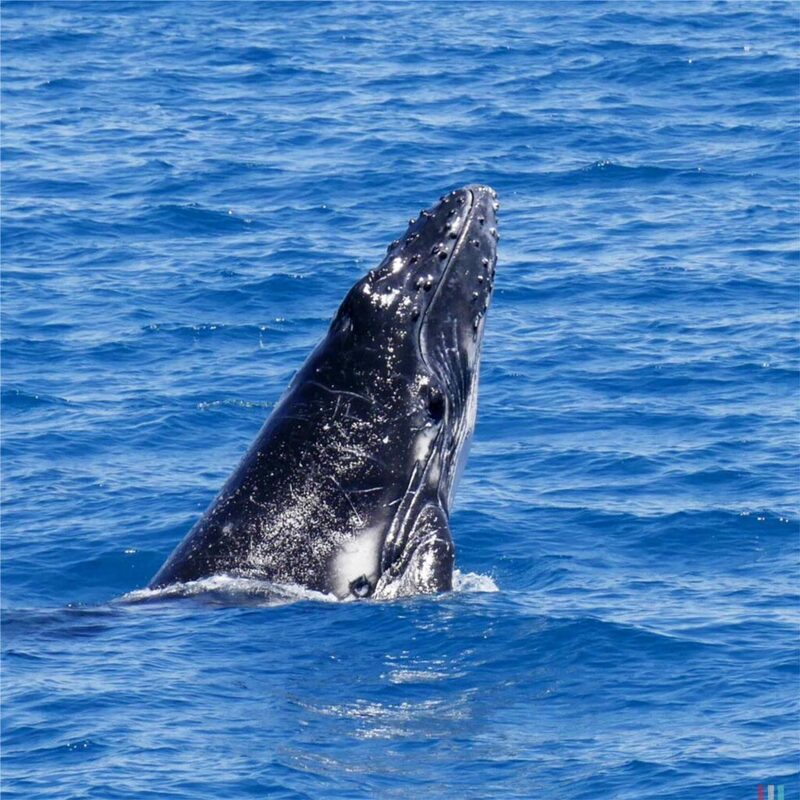 The migration of humpback whales along the Australian east coast is one of the longest in the world. 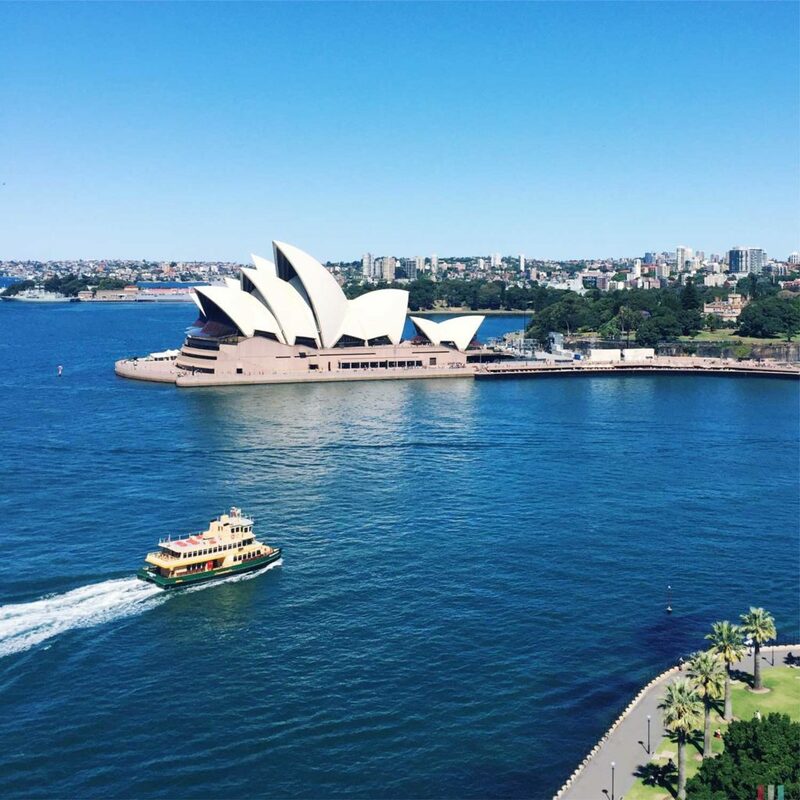 Our plan was to join them from Brisbane to Sydney. 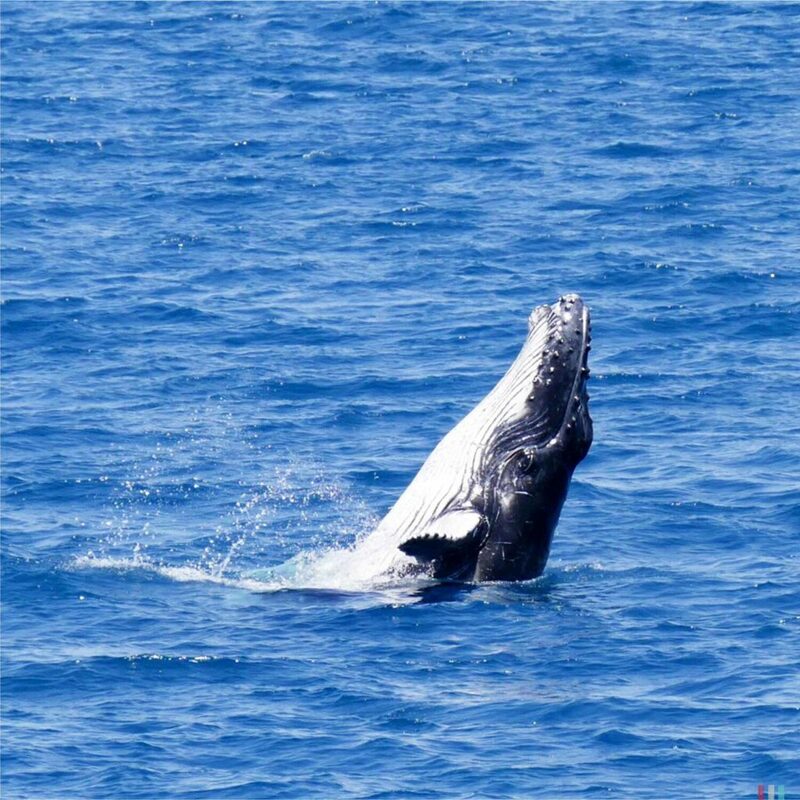 Every year in June, thousands of humpback whales make the long journey from Antarctica to Queensland, where they mate and give birth to their young. As soon as the offspring is well fed and ready to travel, they travel south together again. Their routes run close to the coast, especially on their way back when the calves are present. 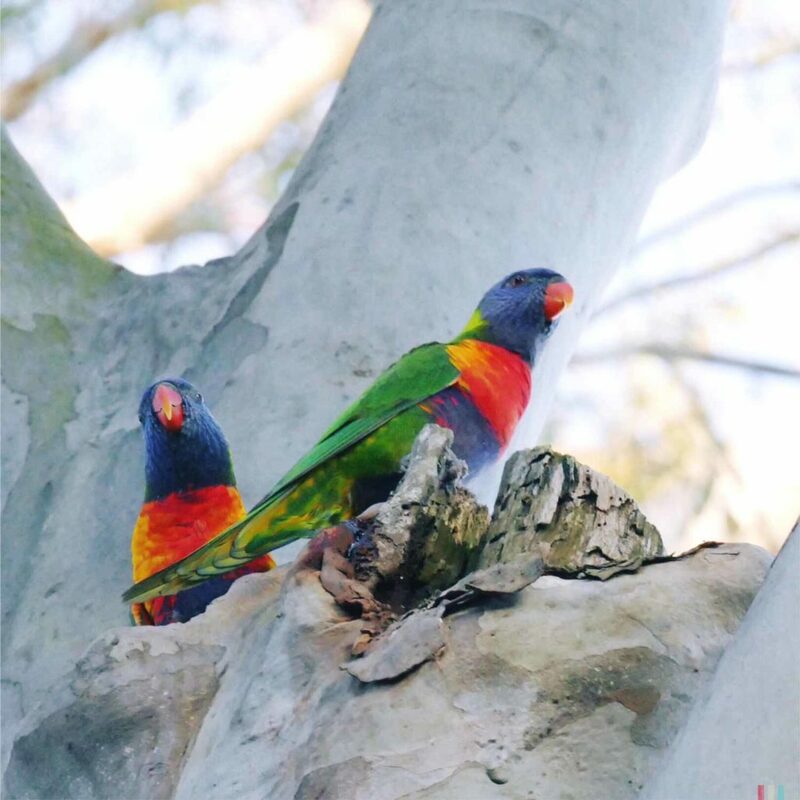 Depending on the season, you can observe them either on their way north or south. 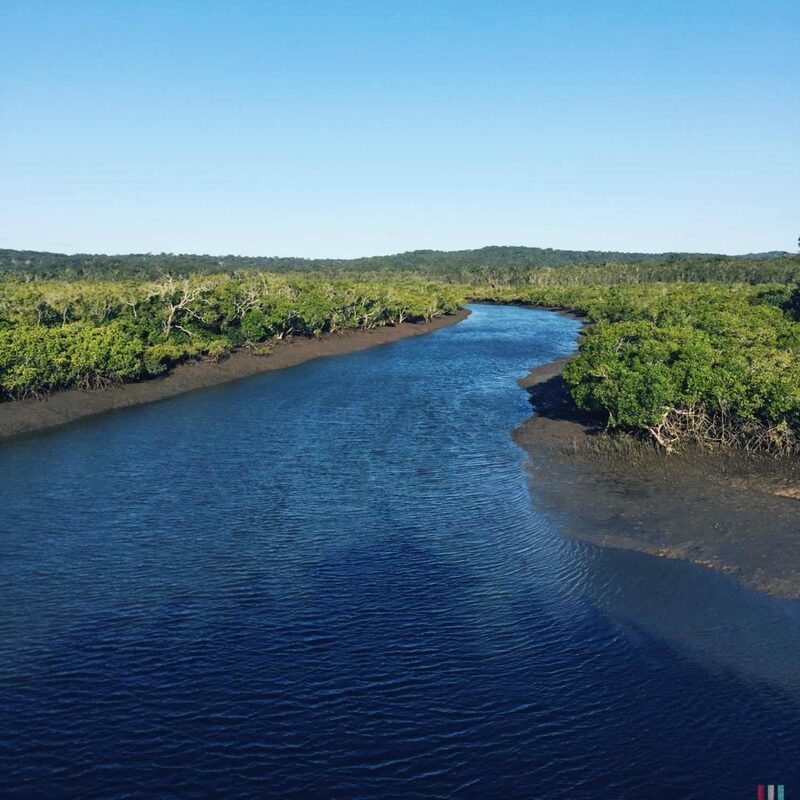 We started in Hervey Bay. On the map it looks like it’s only a few minutes from Brisbane. In fact, it’s almost 300 kilometers. Took us four hours. Hervey Bay is one of those places where people ask you why you went there. There is not too much to do there. 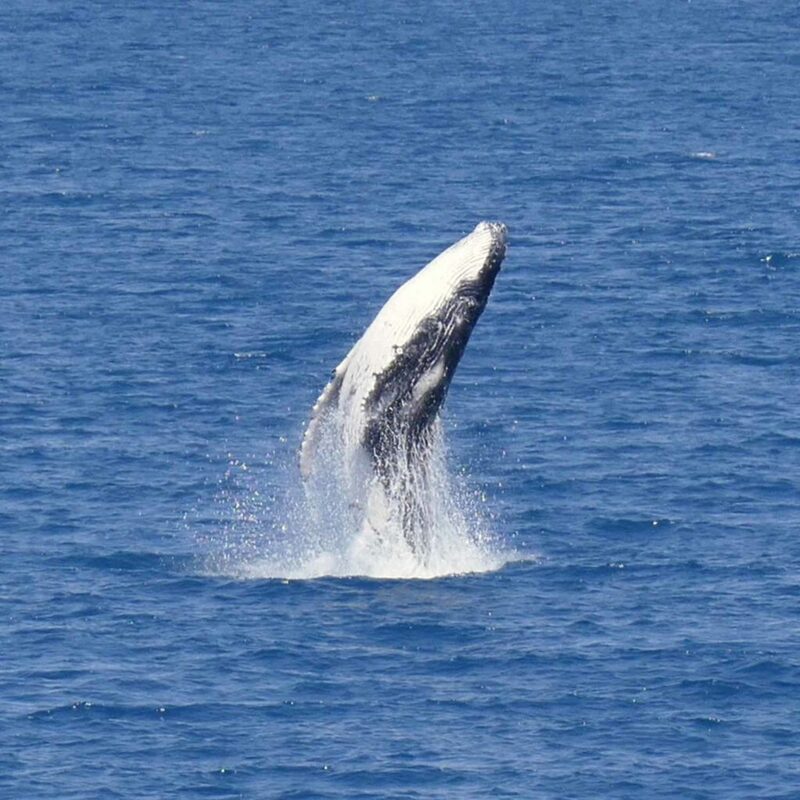 At least if you are not interested in humpback whales. It’s all about humpback whales there. 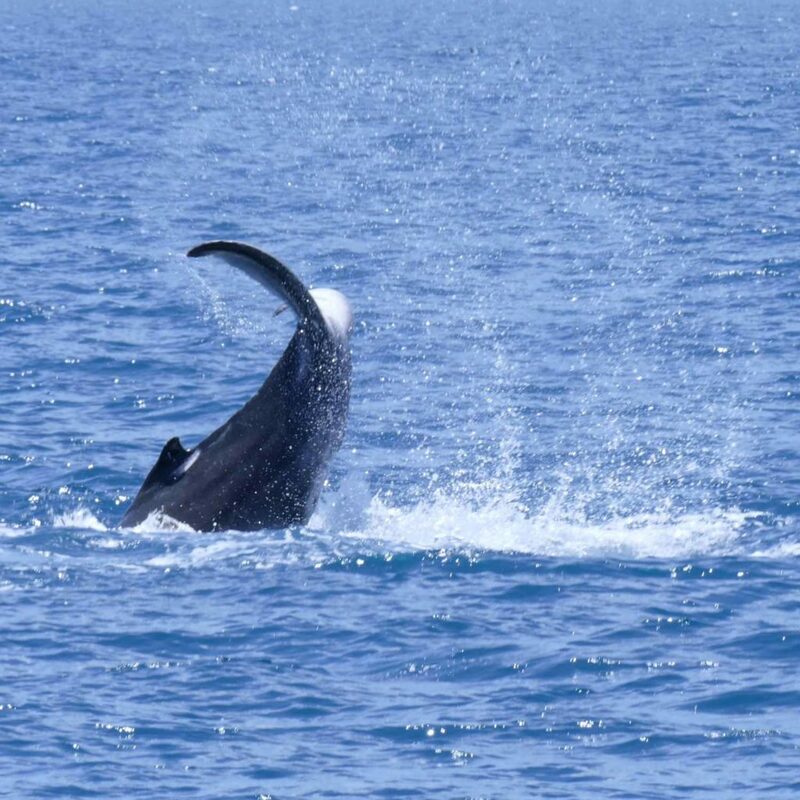 In terms of humpback whales, Hervey Bay is a great place to go. Eight hours on the catamaran. It feels like a trip with some friends, not like a commercial tour. 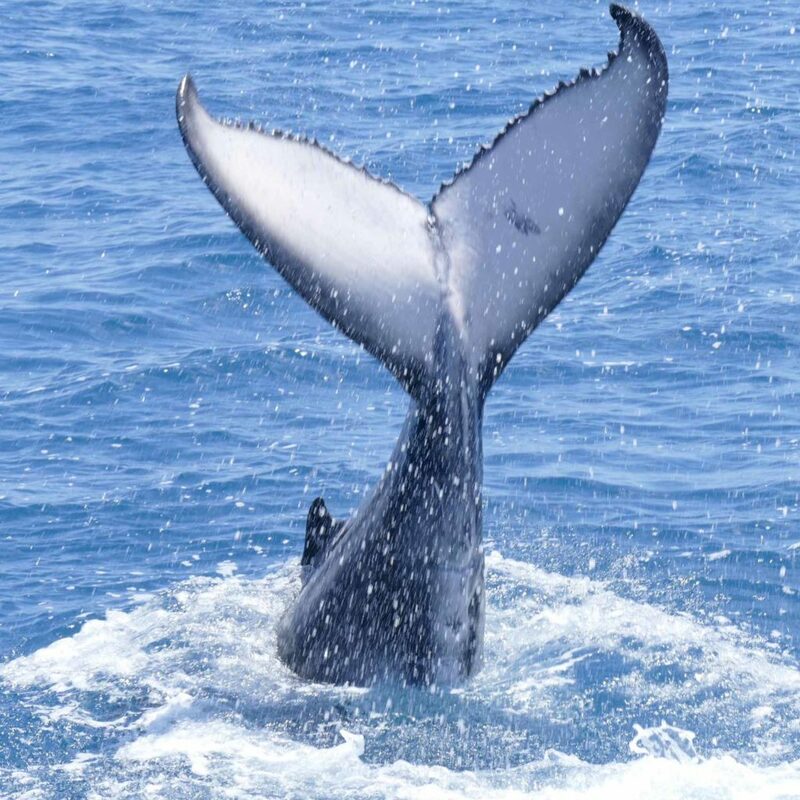 We see so many whales that we can choose the most active ones. 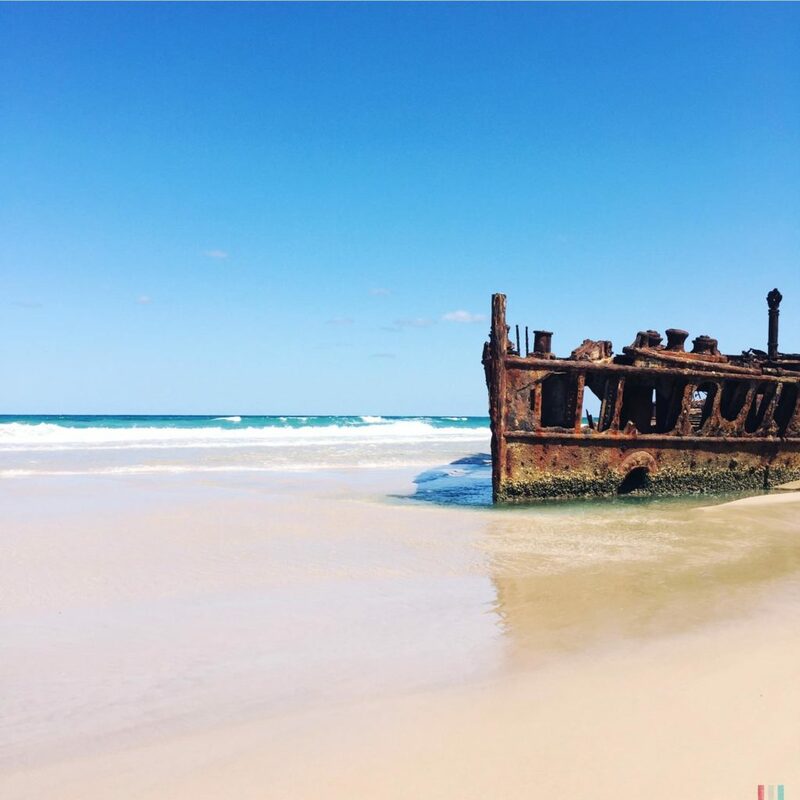 The reason for this is Fraser Island, the largest sand island in the world, piled up in the sea just outside Hervey Bay. It provides the perfect protection for the entire bay. The water is shallow and calm like a lake. Ideal conditions for busy whale calves and tired whale moms. The season is long in Hervey Bay. At first, it’s the males, all ready to mate. They are quite curious and often get very close to the boats. And as soon as the first calves are born, there is really a lot going on in the bay. Humpback whale babies have only one to-do during their first few months: drinking milk all the time. Their mother’s milk is so extremely fat that the babies grow quickly, gaining a good 50 kilos a day. And of course, all this energy has to go somewhere, so there is a lot of playing and raving going on between the meals. Humpback whale babies breach and breach and breach. They really don’t stop breaching at all. In between they slap the water with their heads, flippers and flukes. Again and again. Then they breach again. That goes on all day. Humpback whale babies are not much different from other babies. Only a few tons heavier. The humpback whale moms swim slowly beside them trying to save as much energy as possible. For them there is neither anything to do nor anything to eat. They just wait until their babies have drunk enough and are ready to travel back south. We sail with Blue Dolphin Tours, only a small group, eight hours on the catamaran. 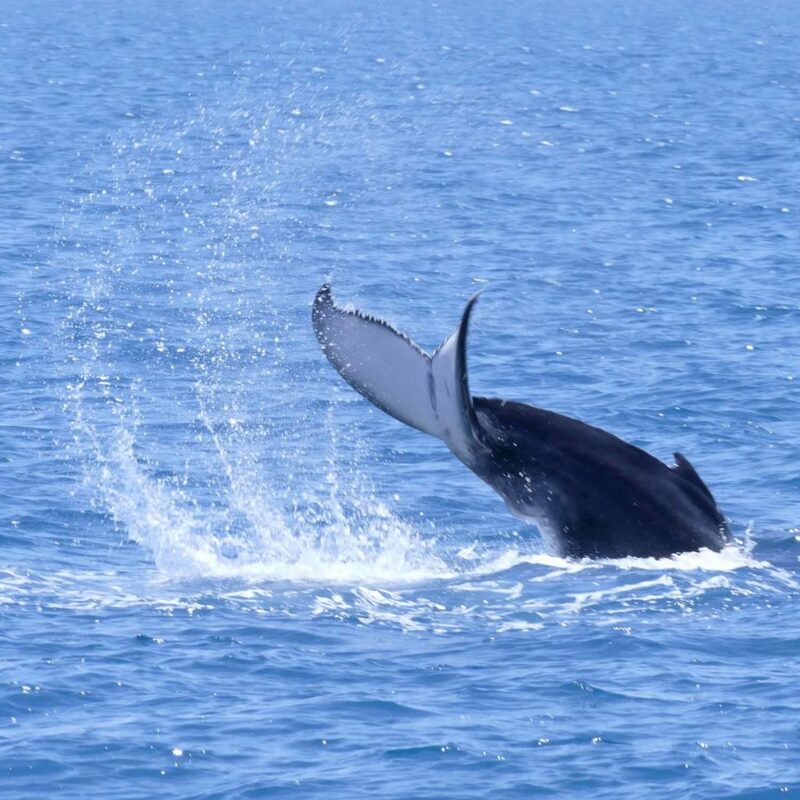 It feels like a trip with friends, not like a commercial whale watching tour – despite the thoughtful and expert guide. 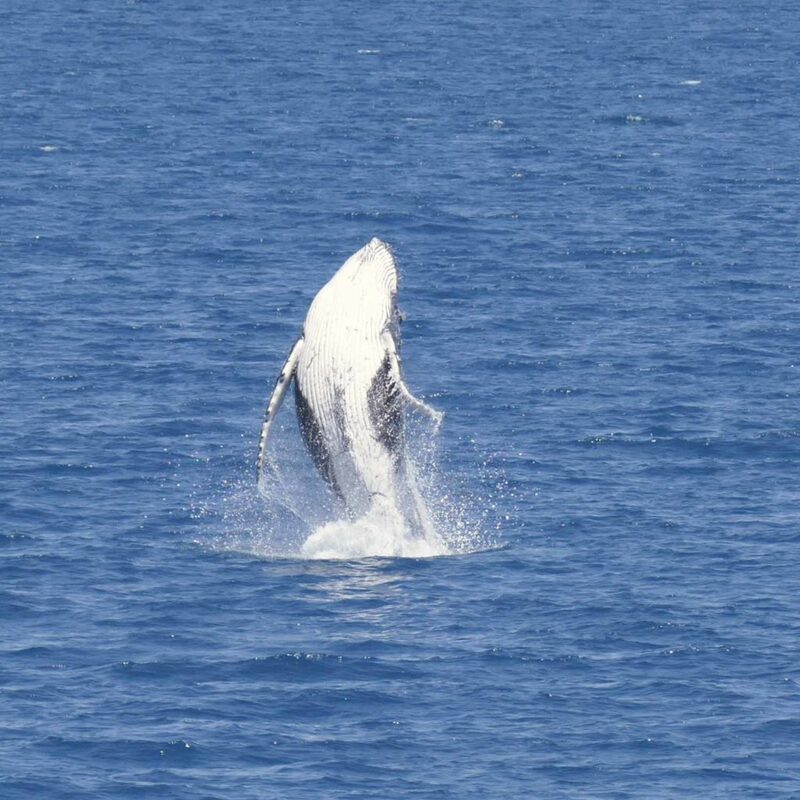 We see so many whales that we can choose the most active ones. A fantastic day. 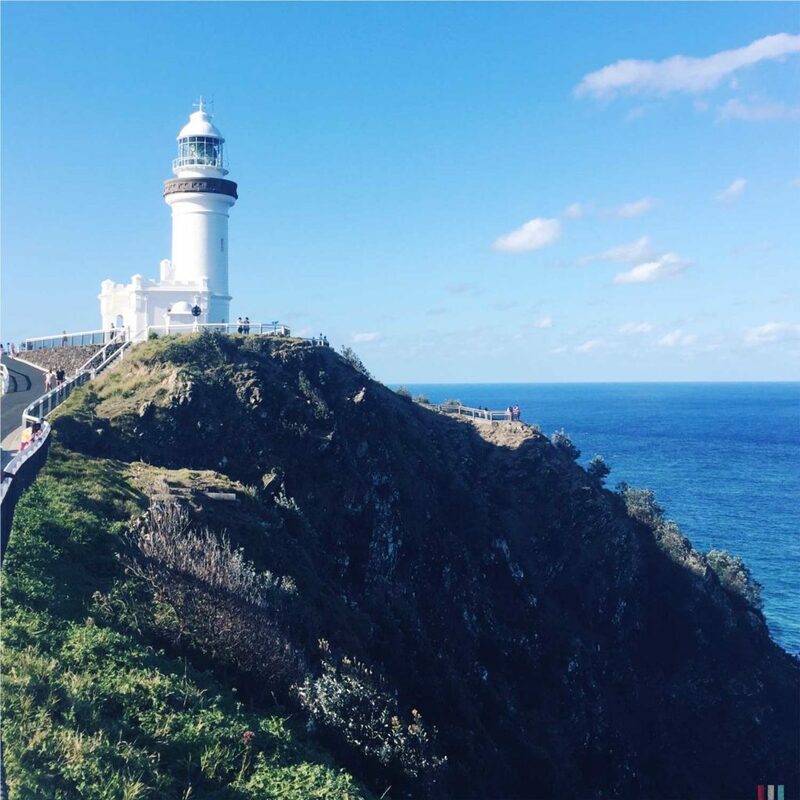 On our way south we stop at Sunshine Coast, Gold Coast, Byron Bay, Coffs Harbour, Port Macquarie, Nelson Bay and finally Sydney. Always following the breaching humpback whale babies. 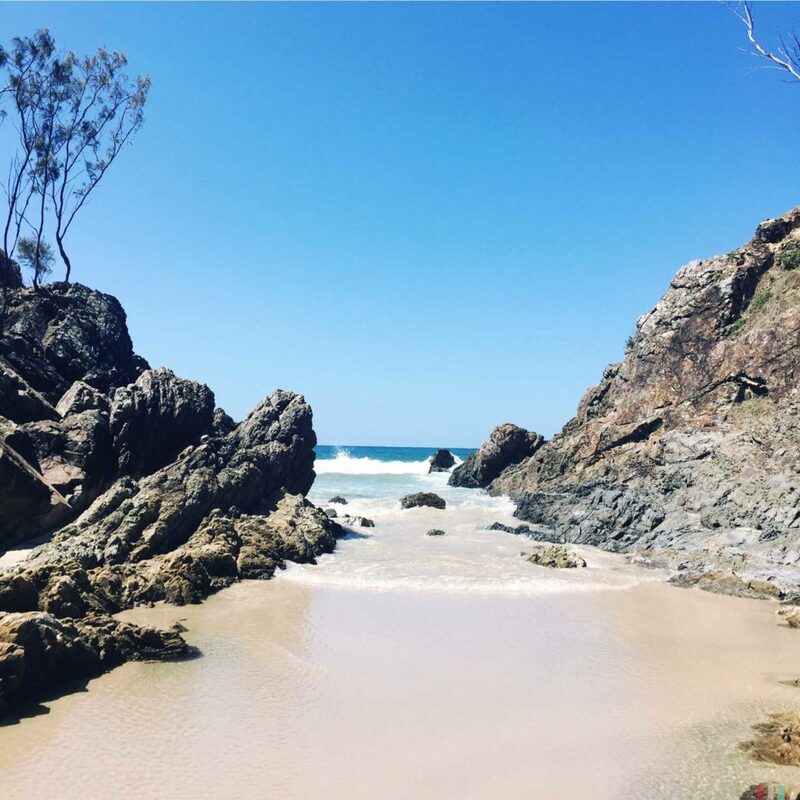 Even though we find even more beautiful places (Byron Bay <3), we have not made any better tours than here in Hervey Bay. 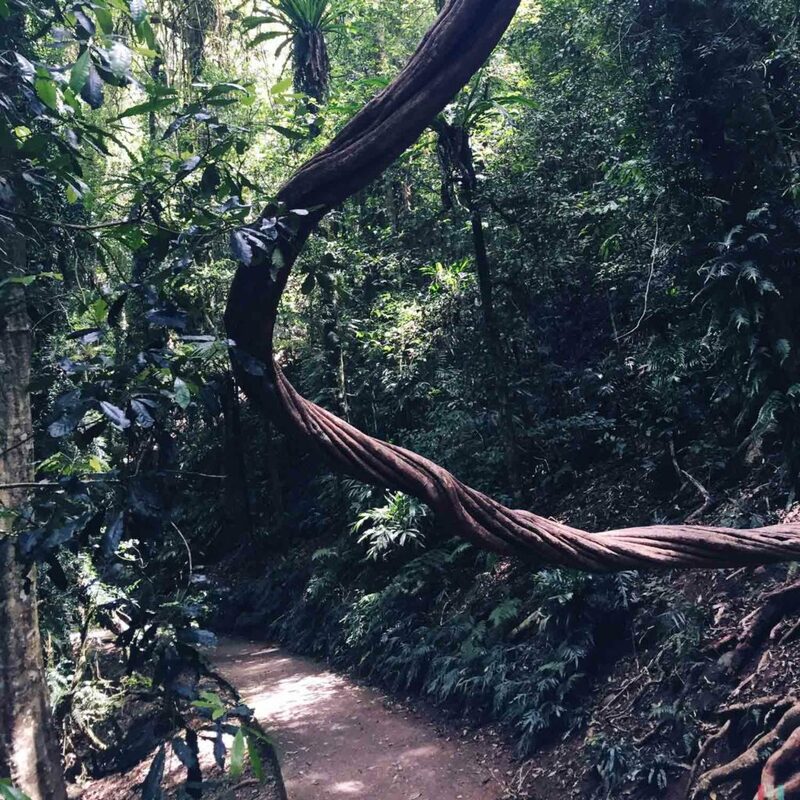 The rainforest at Dorrigo National Park. Looks quite like a million years ago. 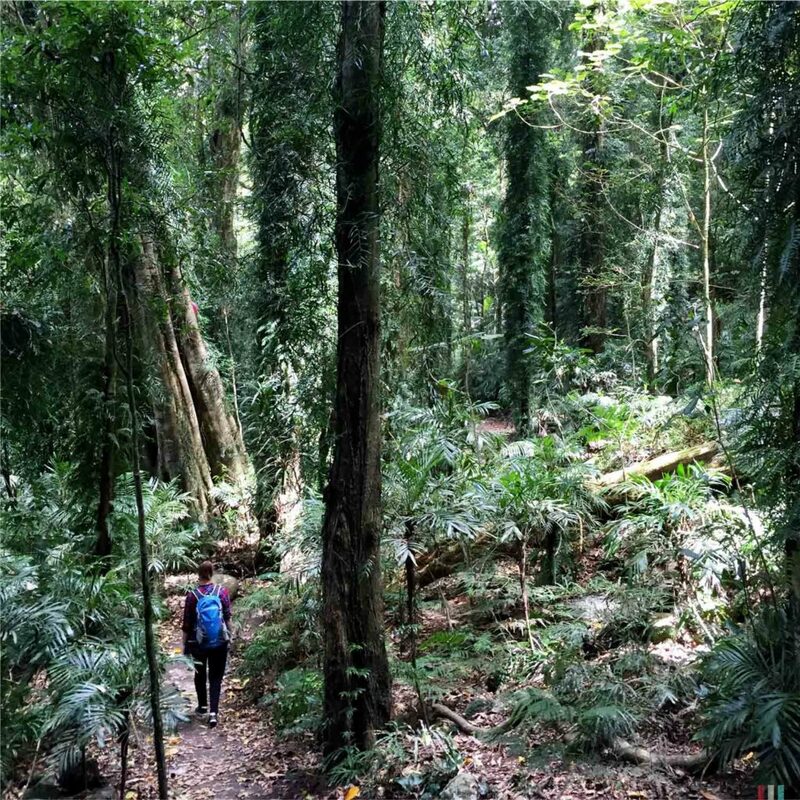 On our way south we visit Dorrigo National Park: ancient rainforests as they existed millions of years ago on the primeval continent of Gondwana. The world didn’t always look like it does today. 200 million years ago there were only two continents, Laurasia in the north and Gondwana in the south. Both were huge. Gondwana consisted of present-day South America, Africa, Arabia, India, Australia and Antarctica. Laurasia was formed by the rest. The animals and plants living in the world at that time were able to spread over the whole land mass. 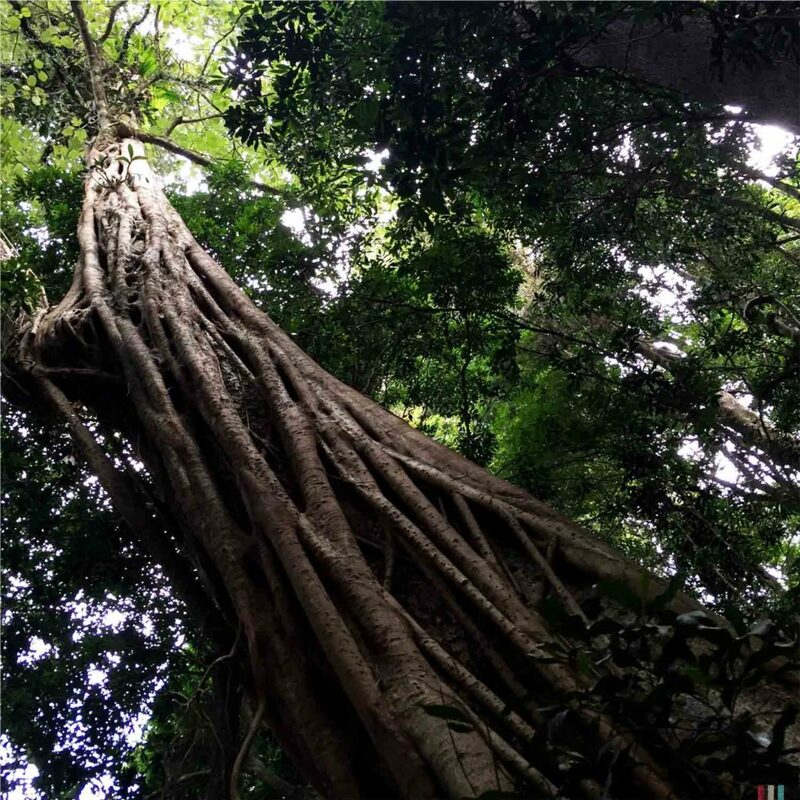 Occasionally Laurasia and Gondwana were even connected. The basis of all life in the world is therefore quite the same. However, 150 million years ago Gondwana began to break and drift on the earth plates. During the collisions of these land masses it rumbled enormously on the earth. Thus for example built up the Alps, the Cordillera and the Himalaya. 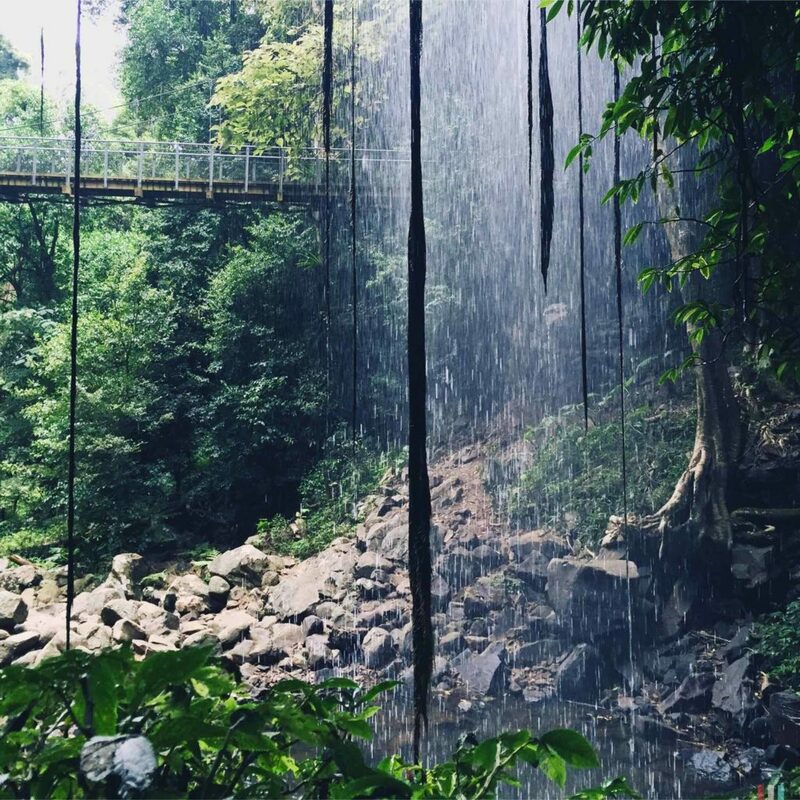 Dorrigo National Park is part of the Gondwana Rainforest Network, which is scattered throughout Queensland and New South Wales. 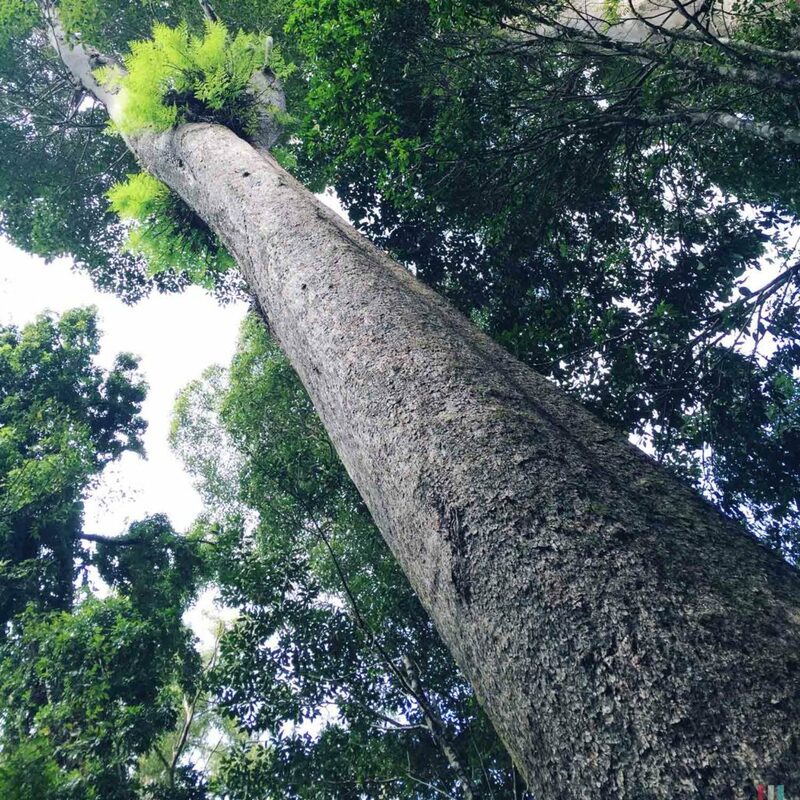 Trees and ferns that existed millions of years ago still grow here today – plants that can only be found as fossils in the rest of the world. A glimpse into an ancient past. 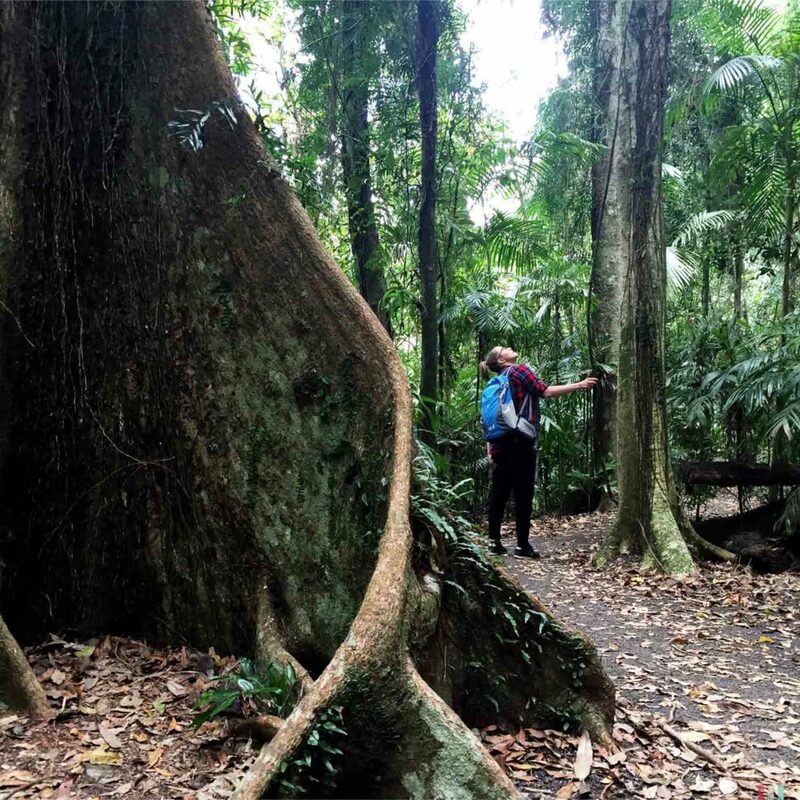 In addition to prehistoric plants, with a little luck you can also discover a very special bird in Dorrigo Park: the Lyre Bird. 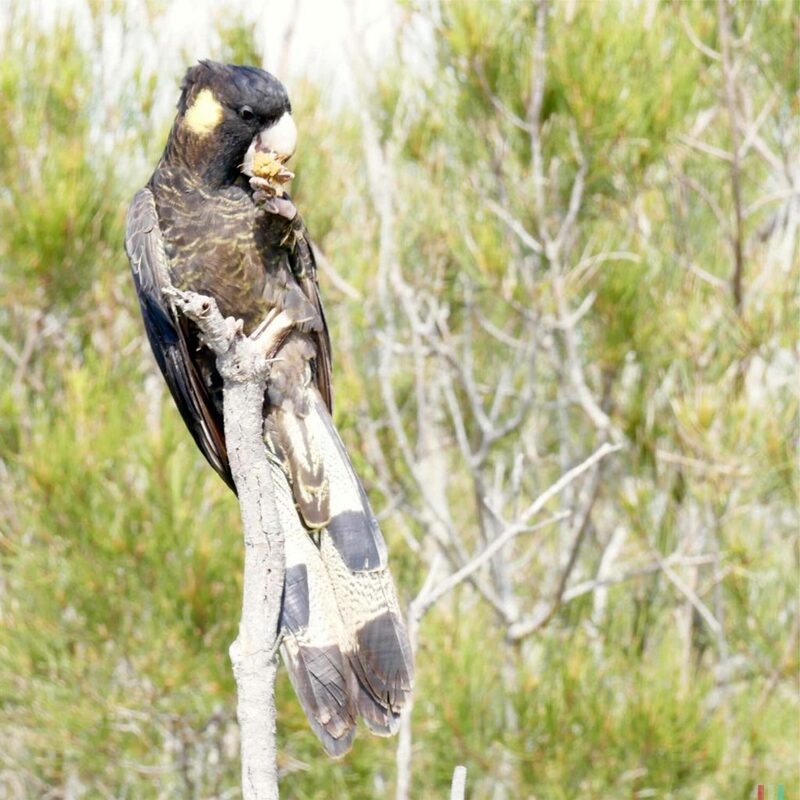 It looks quite inconspicuous, it is brown and grey throughout, with long plumage waggling at the tail. In comparison with the many colorful birds here the Lyre Bird hardly attracts attention. But you will hardly ever see him anyway. You only hear him. Although you can never be fully sure: the Lyre Bird can imitate almost any other bird species in the jungle. But it doesn’t stop there – sometimes the Lyre Bird sounds like a camera, a car alarm system or even a chainsaw. The Lyre Bird can reproduce almost any sound he has ever heard anywhere. Ein Lyre Bird imitiert andere Vögel. Und andere Geräusche, die er im Urwald so hört. 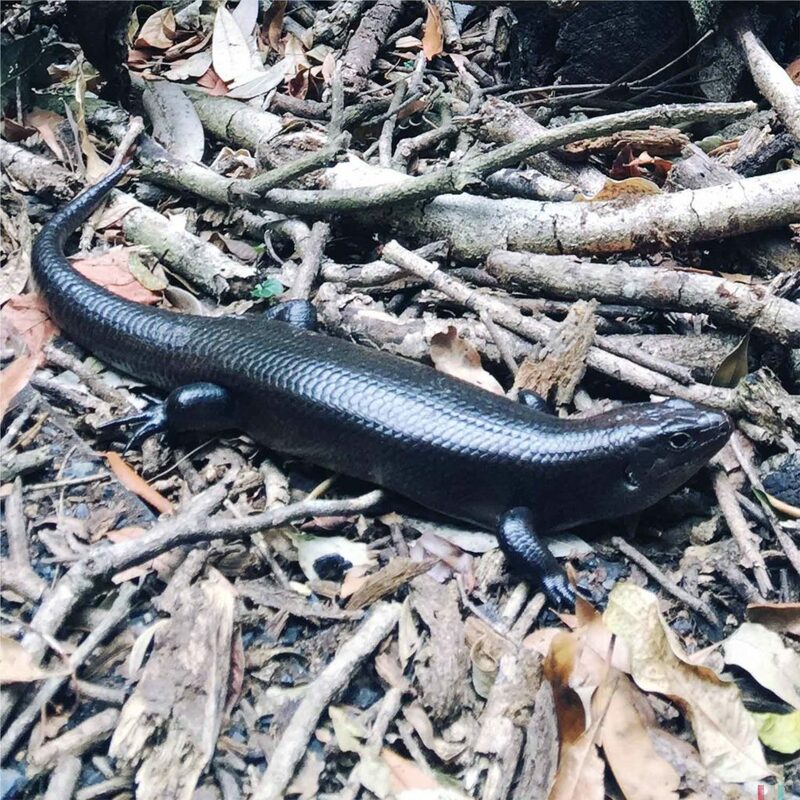 During our hike through Dorrigo National Park we met lizards, skinks, snakes and lots of colorful birds. We also hiked the Lyre Bird Link Track, but we didn’t see this funny little bird there either. However, several times we heard some weird sounds that sounded exactly like R2D2 from Star Wars waving a lightsaber. And we totally agreed that this could only be the Lyre Bird. As far as I’m concerned, the Lyre Bird is clearly the third best bird in the world – after the Keas and the Puffins! 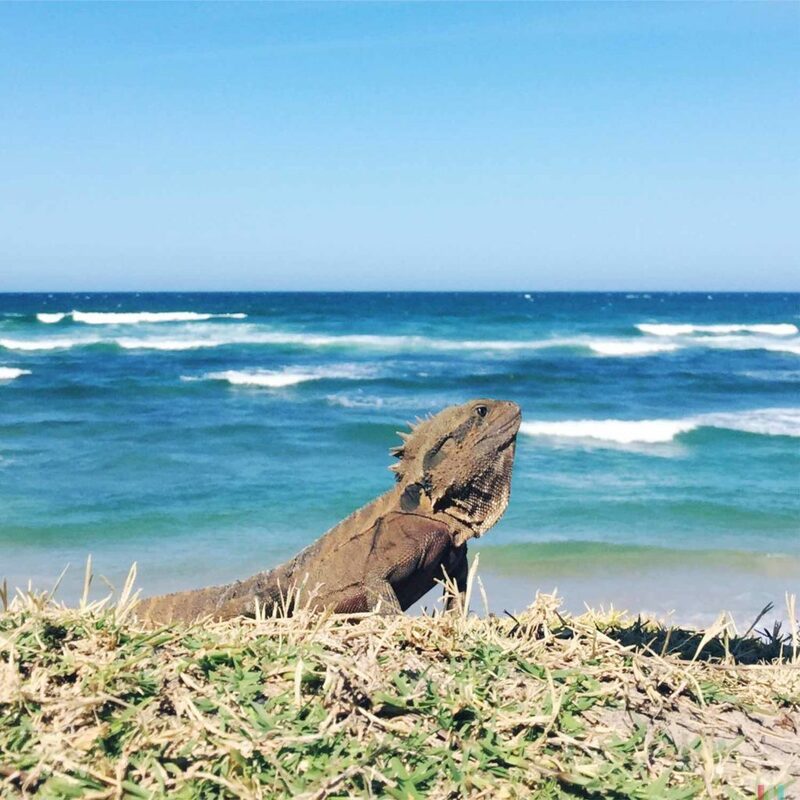 A kangaroo at the ocean. Almost as in the commercials! 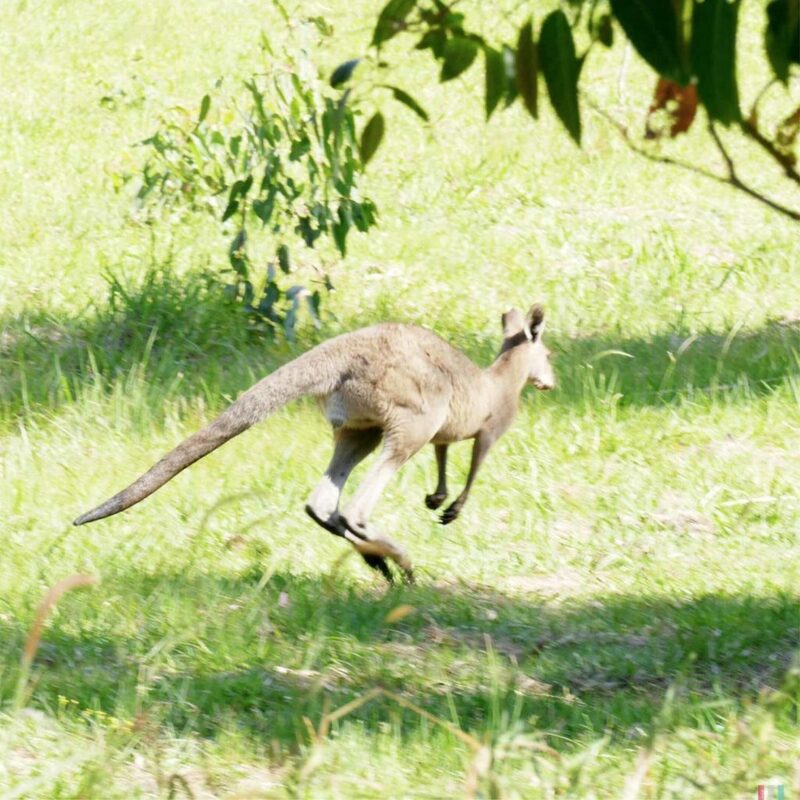 Kangaroos! Before this trip, I had thought this whole pouch thing was just some kind of a fun of evolution. Completely wrong! The fact that the pouch is not only a whim of nature is already evident from its distribution: there are over 300 species of marsupials worldwide, with most of them living in Australia, but some also in North and South America. 300 species are a bit too much to believe in the fun of evolution. 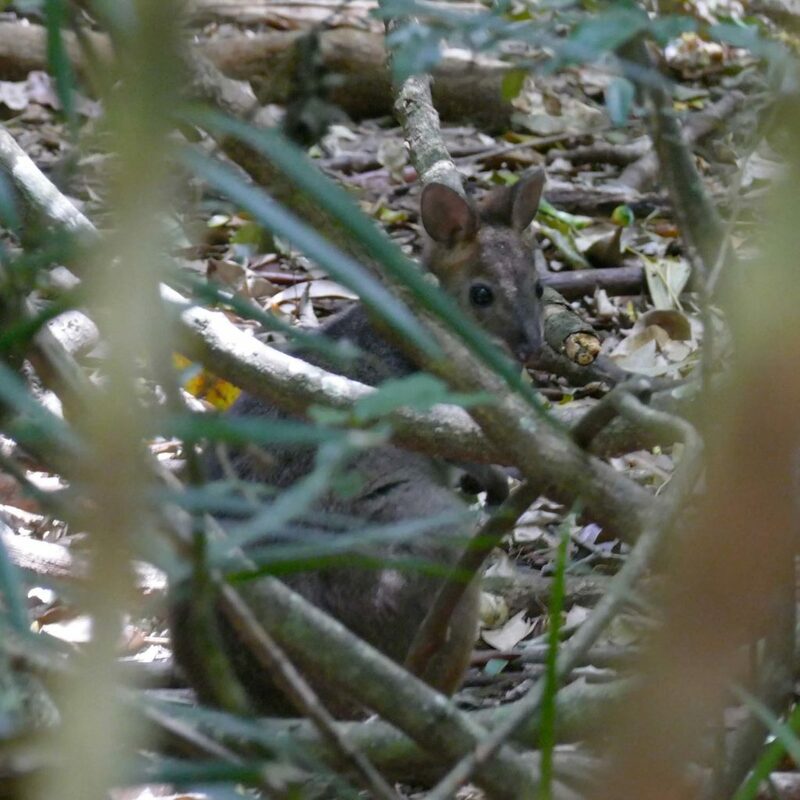 In general, marsupials are quite normal mammals, except that they do not give birth to their young after a long gestation period, but to semi-finished embryos after a very short gestation period. The embryos, often weighing only one gram (! 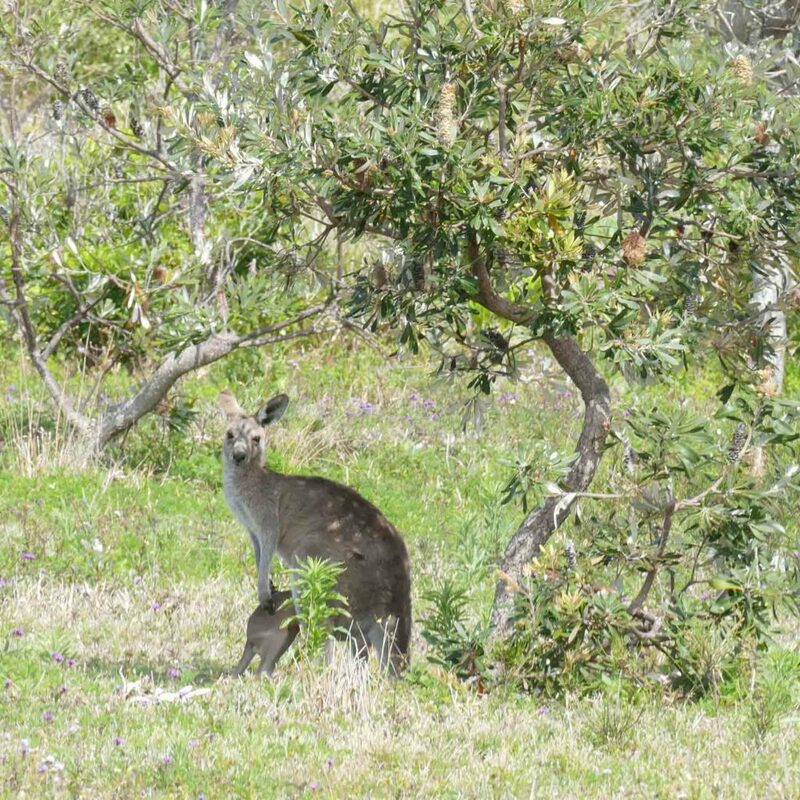 ), immediately and independently climb into the pouch and only come out a few months later – as finished babies. 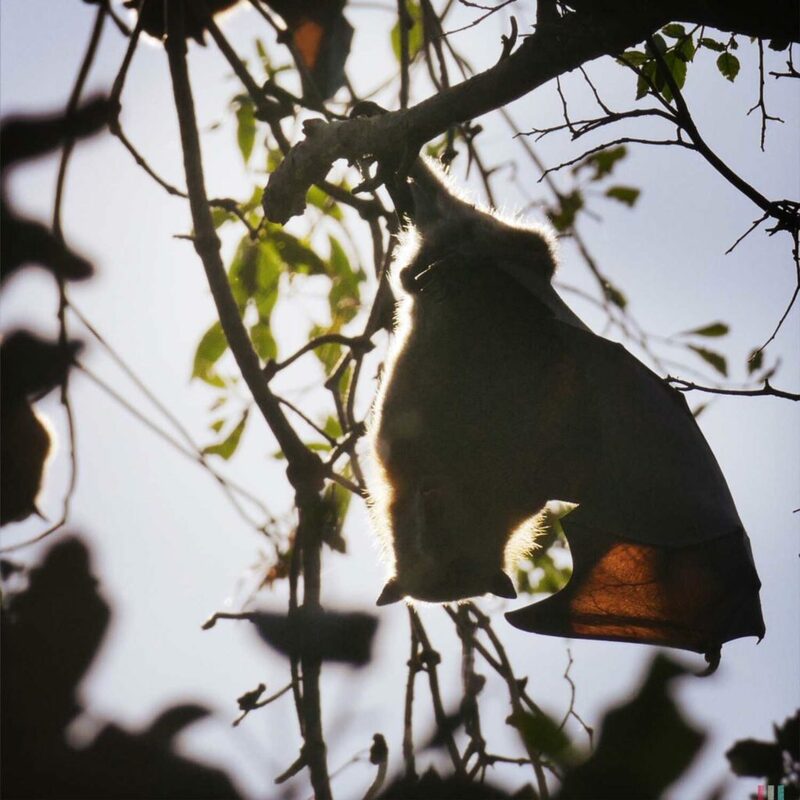 For almost every 'normal' mammal species from home there is an Australian version with pouch. Scientists have discovered that both birth types are similarly useful and efficient. 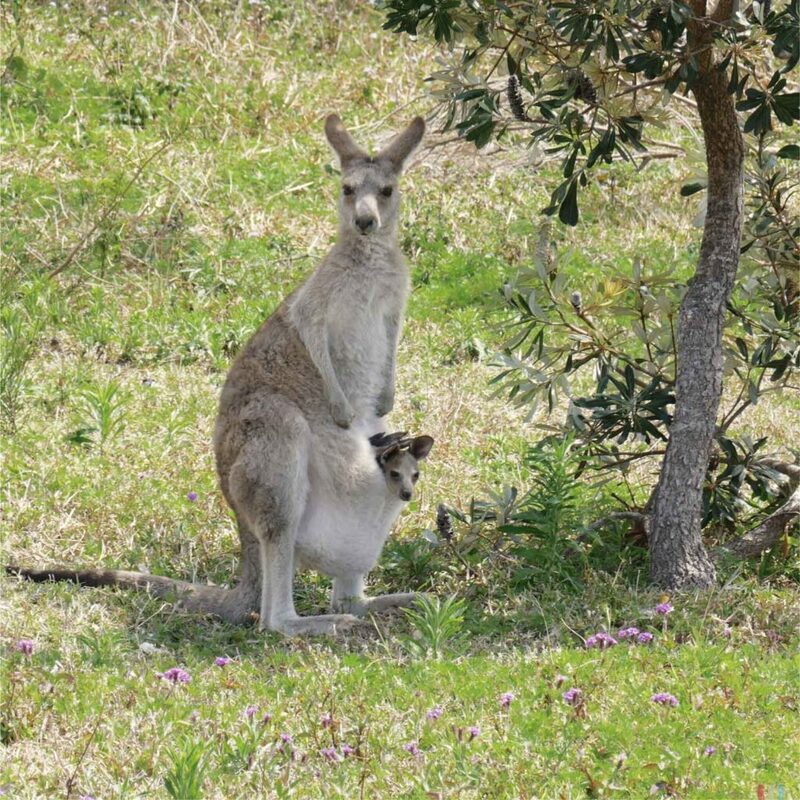 It is a bit about the availability of food and mainly about the balance of effort: In the case of marsupials, the effort is very evenly balanced as there is no need for a complicated and demanding birth. 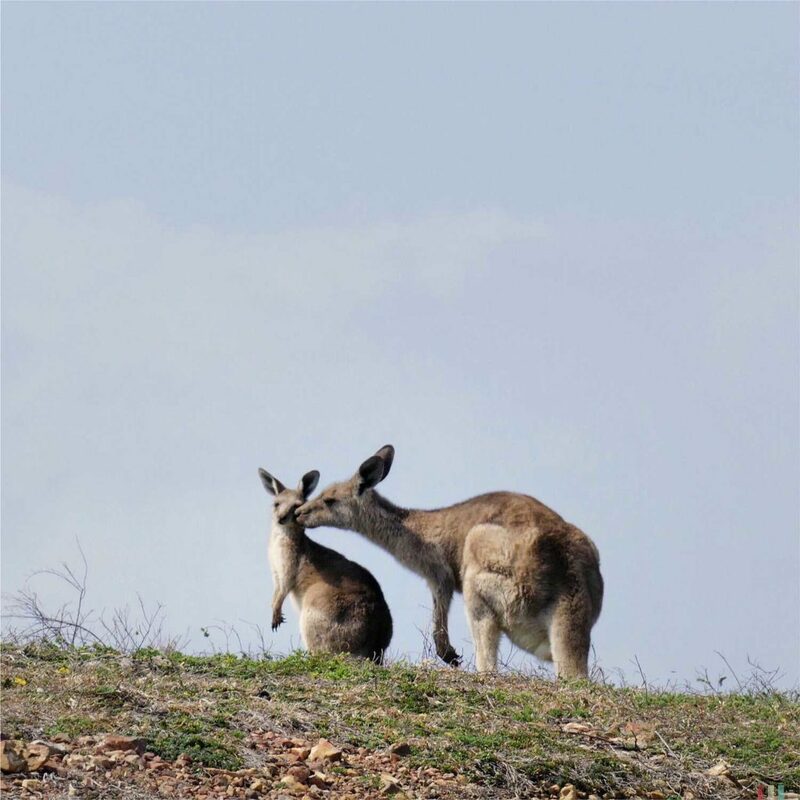 In Australia, there are so many different types of marsupials that you can get the impression that there is an Australian pouched version for every ‘normal’ mammal species at home. 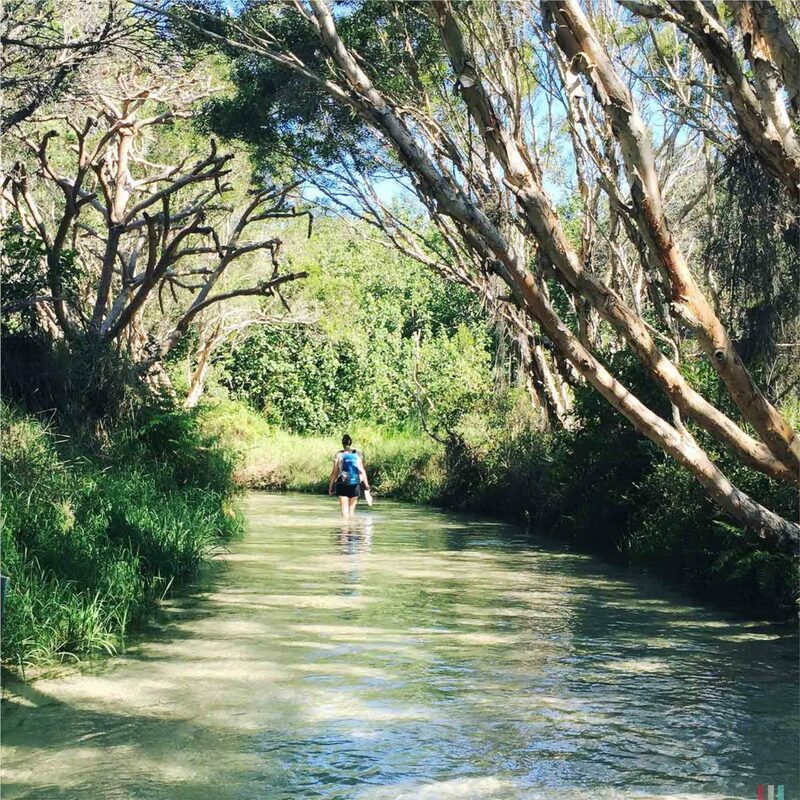 The reason for this is Australia’s complete remoteness. 50 million years ago Australia was connected to the then ice-free and temperate Antarctic, home of the marsupials. After Antarctica and Australia had separated, the marsupials of Antarctica soon became a bit frozen, whereas the marsupials of Australia evolved completely separated from the rest of the world. 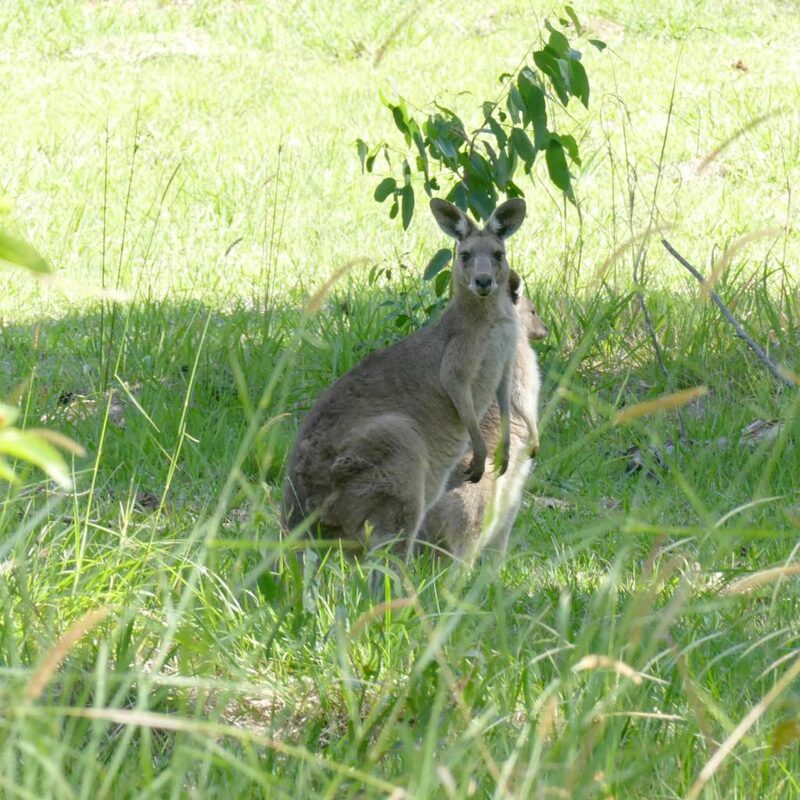 Kangaroos are the largest group of marsupials, although there are over 60 different species. Some grow as big as a human, others are more the size of a football. 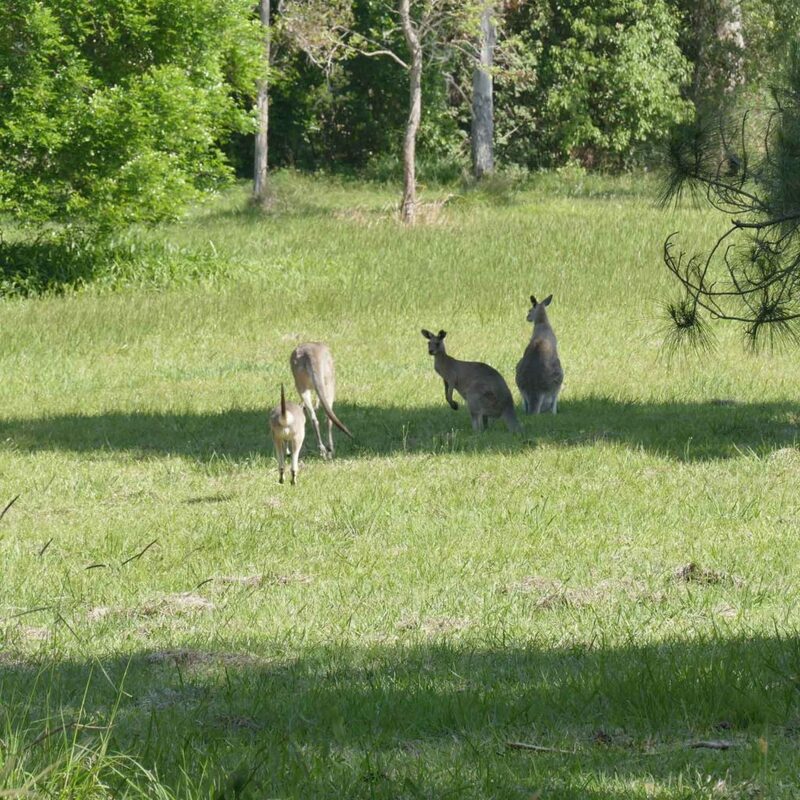 Especially the big kangaroos are quite adaptable. 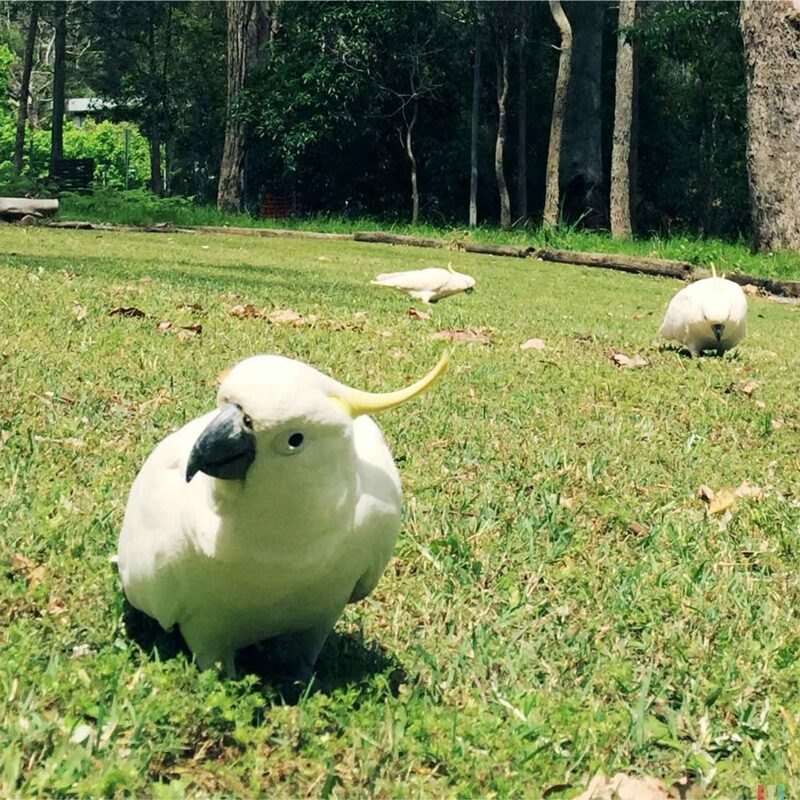 They are not picky about the choice of food or habitat, instead they get along well with quite everything. Even with the slash-and-burn of the human being, that rather provides additional space for them. 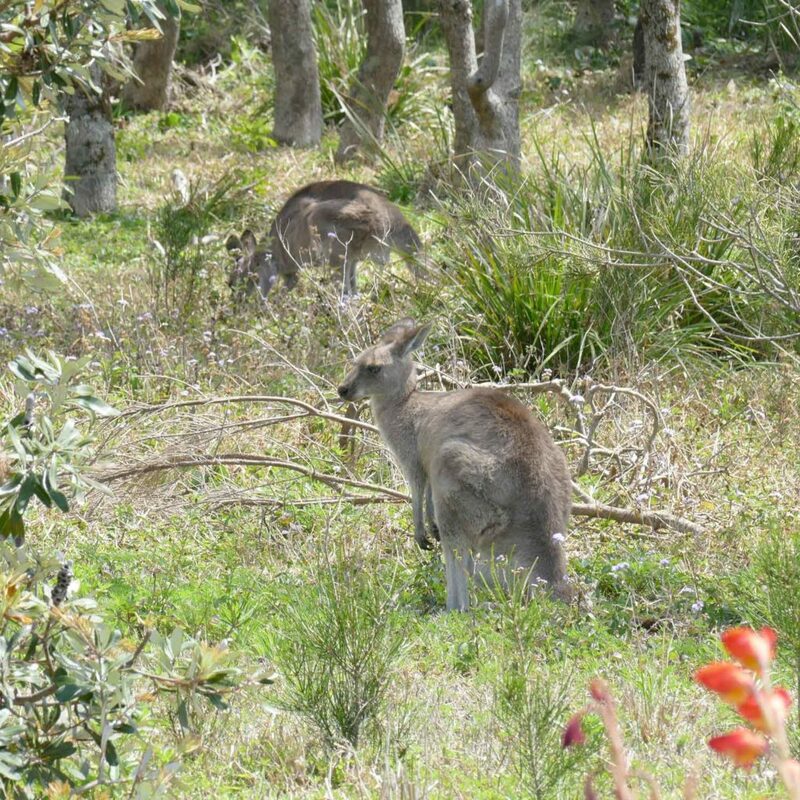 We have mainly encountered the eastern grey kangaroos and the much smaller wallabies. 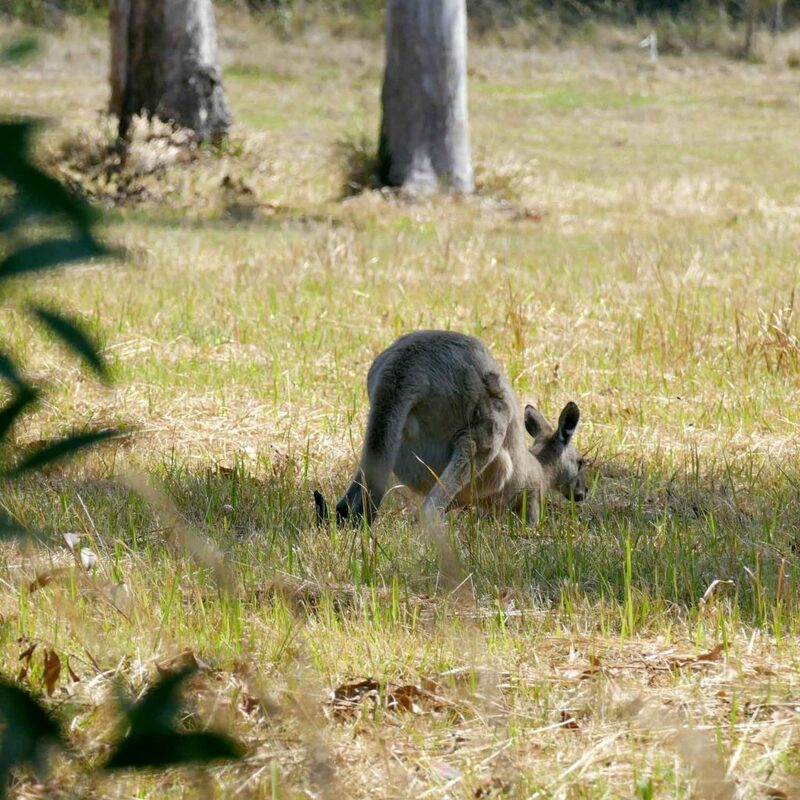 While the wallabies were always hidden in the undergrowth, the big kangaroos were totally relaxed and uninterested. 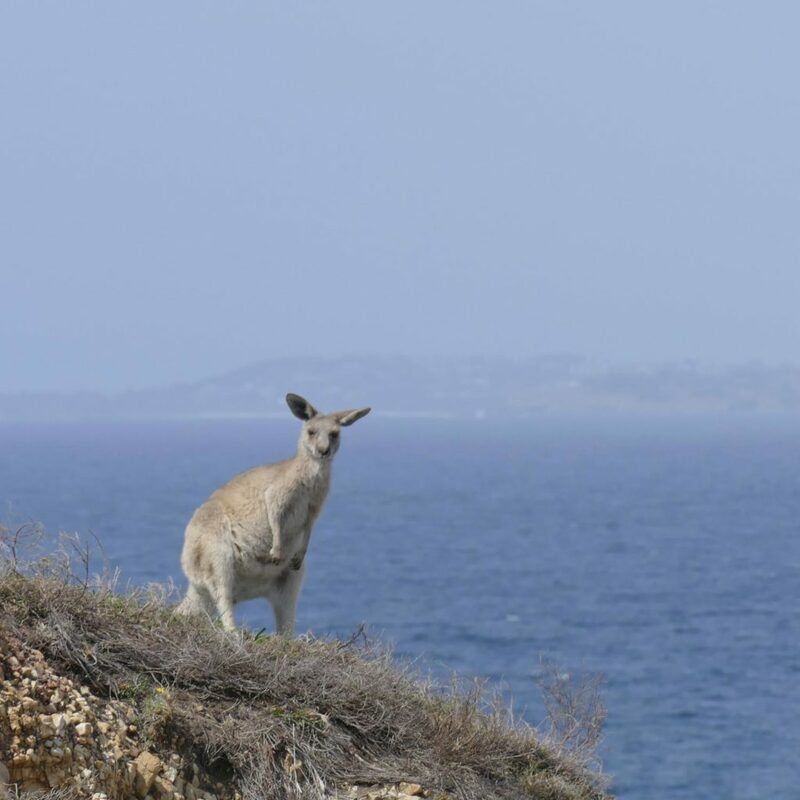 After weeks of trying to observe some kangaroos on the beach (I had seen a few nice adverts on the Internet and somehow didn’t get them out of my mind), we discovered them while hiking on a hill with a nice little sea view. Right at the end of our trip. At least! You have to bring some time when observing koalas. They sleep twenty hours per day. 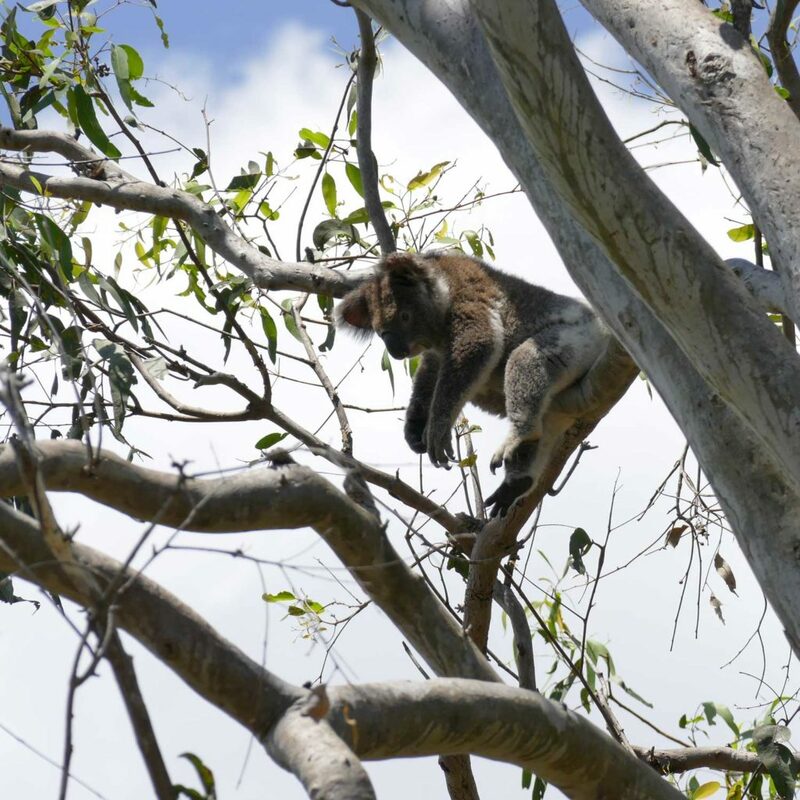 As tough and adaptable kangaroos are, so sensitive and inflexible are koalas. However, they also make life a little difficult for themselves. Koalas sleep a good twenty hours a day. 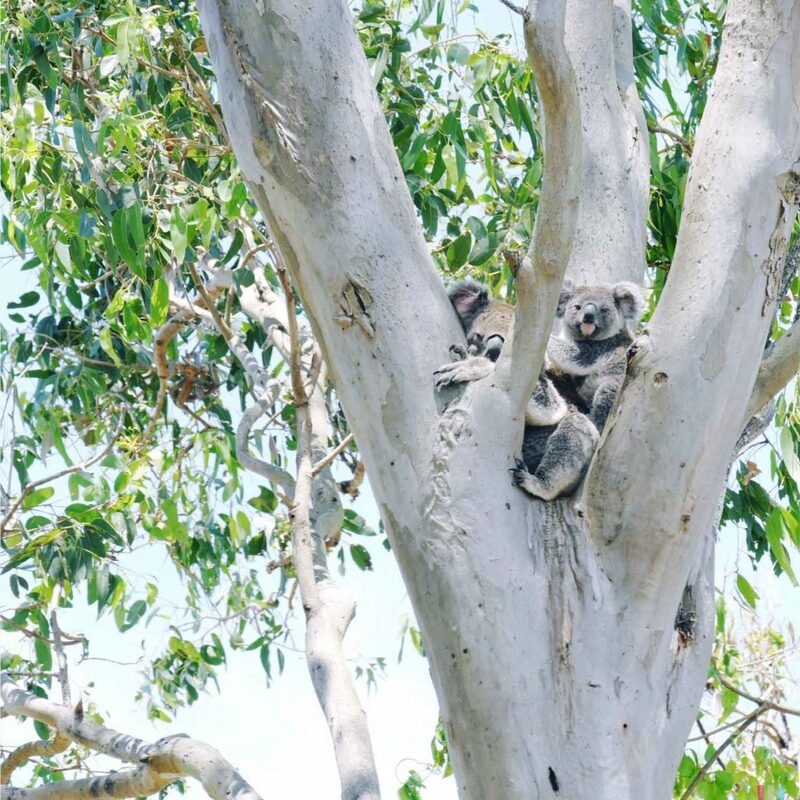 They sit in changing positions inside small branches and forks of their eucalyptus trees. Nature has kindly given them a particularly thick coat at the back so that they always feel comfortable. 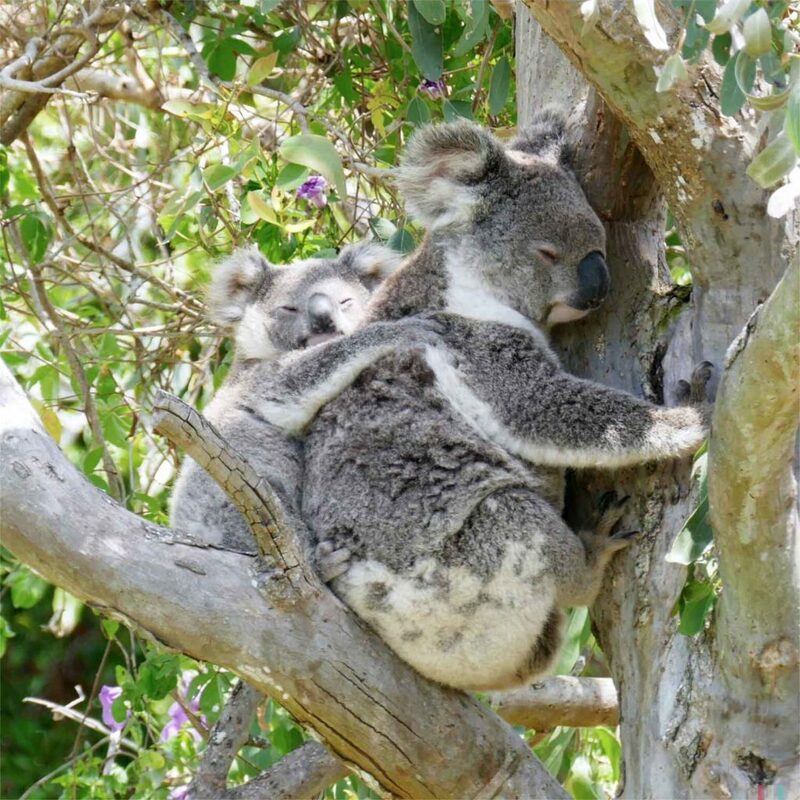 However, koalas do not sleep out of comfort, but out of sheer necessity: they just have to save energy. 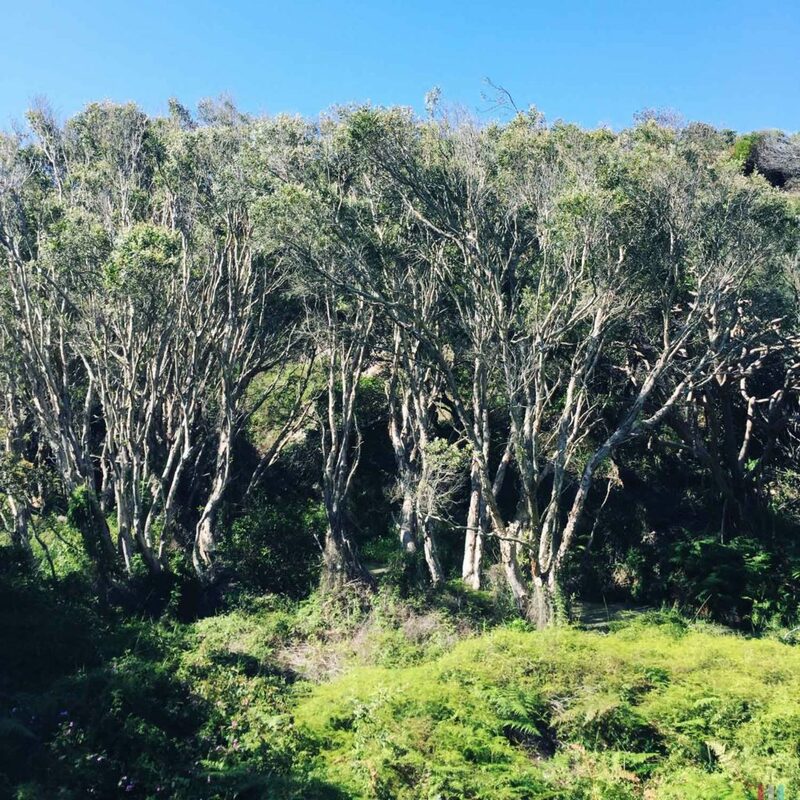 From all possible food sources, they have chosen the leaves of the eucalyptus tree, which, consumed in large quantities, are unfortunately poisonous. Because of that, koalas eat only a few old leaves in which the poison is not so strong anymore. However, old eucalyptus leaves are quite firm and not very nutritious. 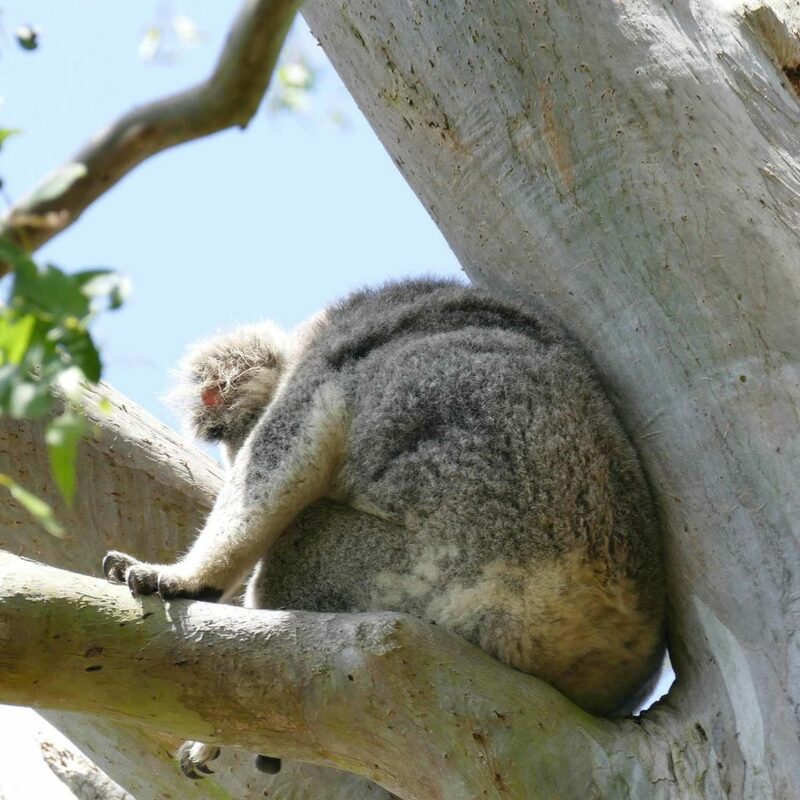 So, in order to keep their energy balance under control, koalas have to sleep a lot. 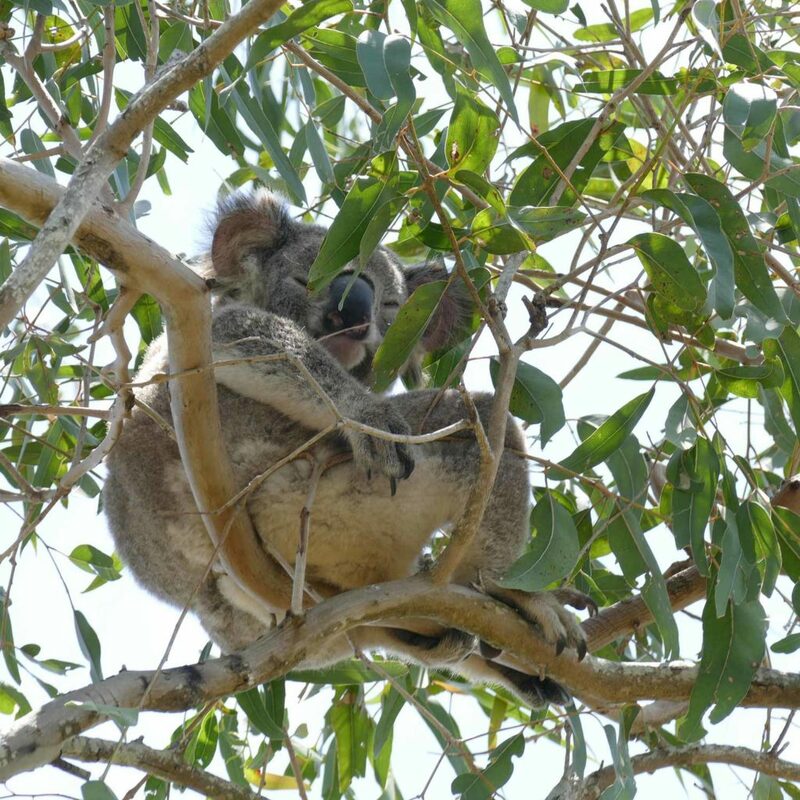 Of all possible food sources koalas have chosen eucalyptus leaves, which are unfortunately slightly poisonous. And even there koalas are still quite picky. In addition, koalas are very picky. 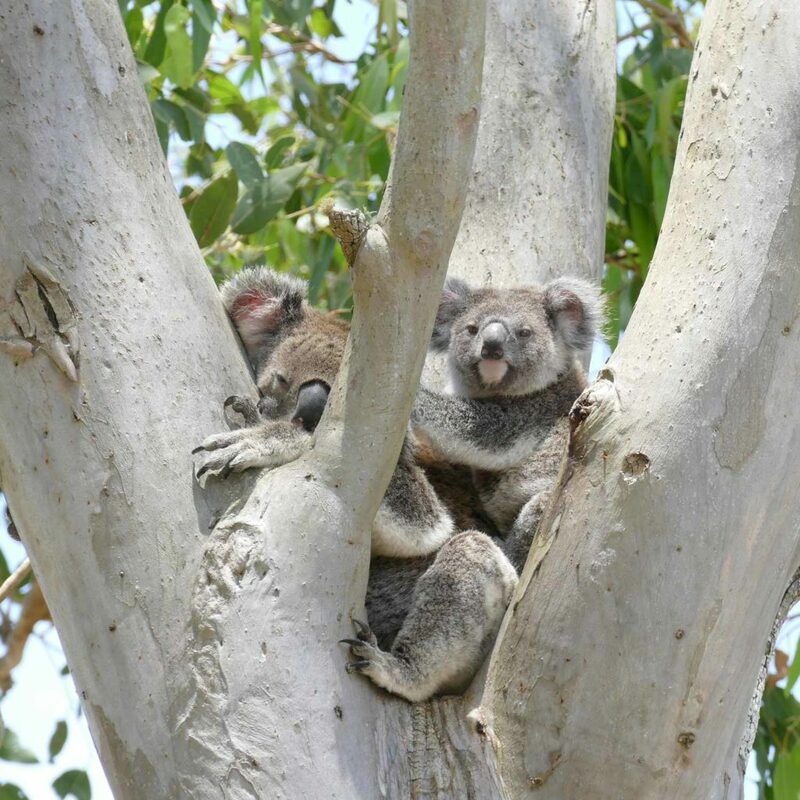 Three out of four trees in Australia are eucalyptus, so koalas actually would have great conditions. 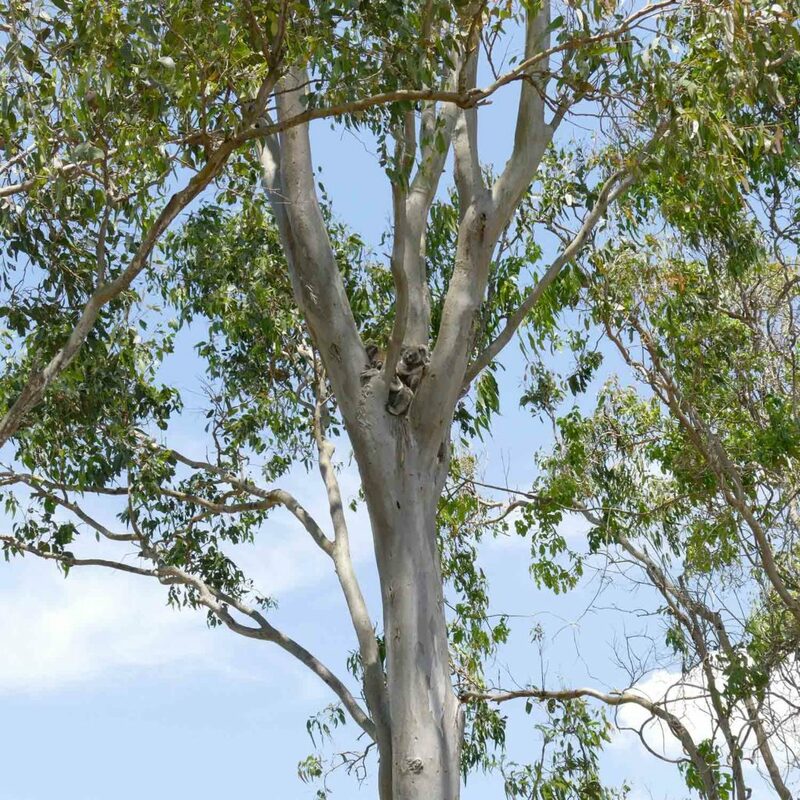 However, there are over 600 different subspecies of eucalyptus, and each koala only likes a few specific subspecies – whether they are available or not. 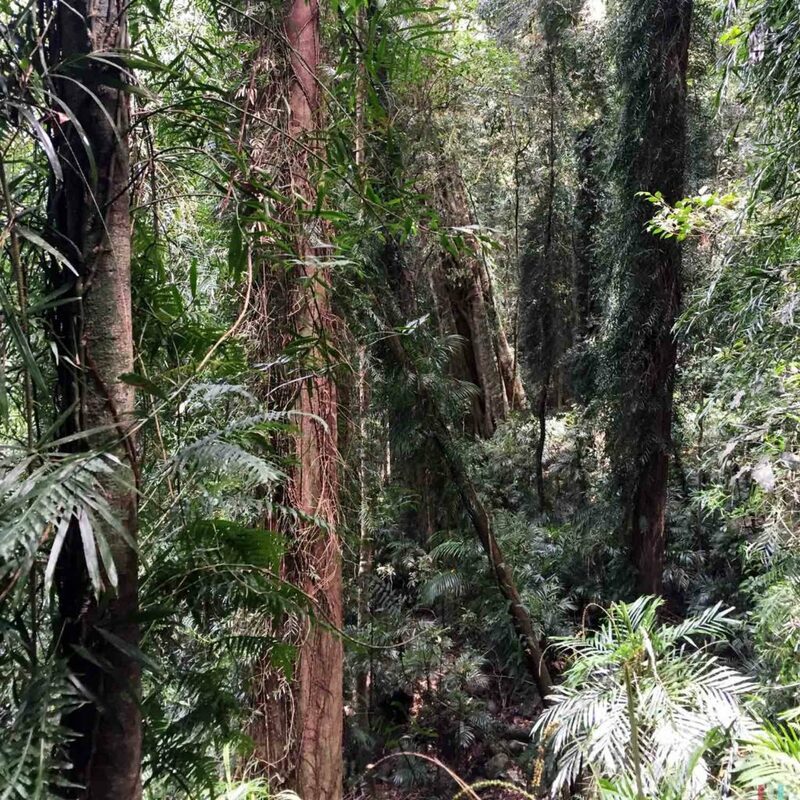 Due to their highly flammable oil, eucalyptus forests are extremely susceptible to forest fires. The trees don’t mind, their seeds are fireproof, and a forest fire even makes them much more competitive than other trees. 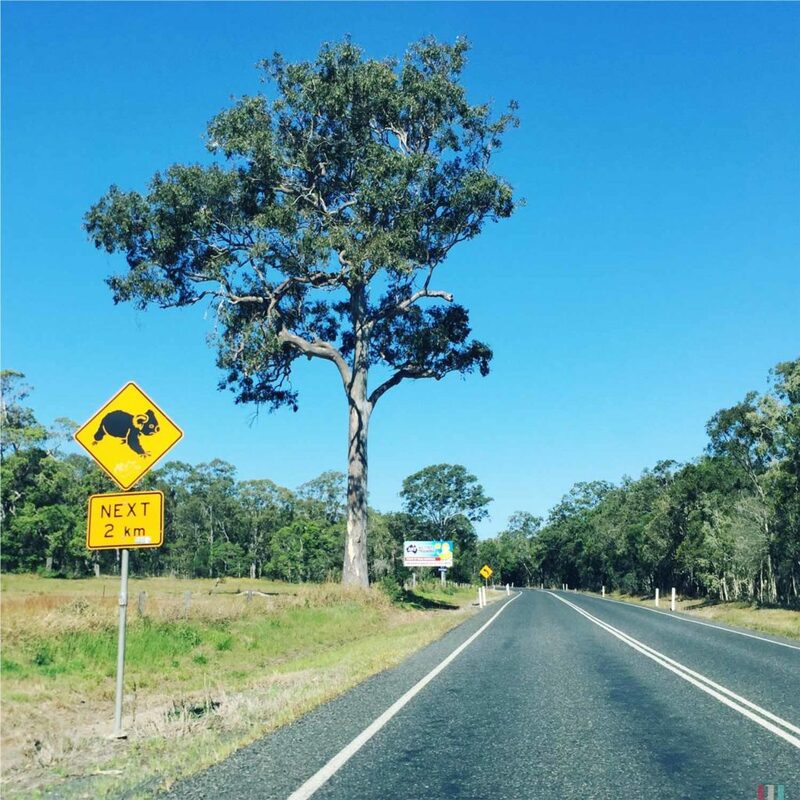 With koalas the situation is a bit different. After all, koalas are loners who claim their large, permanent territories for themselves. Young animals therefore have to migrate to find their own territory. And this journey too often leads them across roads – with cars being their biggest enemy. All summed up, there is a lot of stress for the poor little koalas. Unfortunately, they are not stress-resistant at all, on the contrary they are very susceptible to diseases, their immune system is not very good. Possibly due to their one-sided and not very nutritious diet. Because of their thick, fluffy fur, koalas used to be heavily hunted, today there are probably only 50,000 to 80,000 animals left. Nowadays koalas are strictly protected. 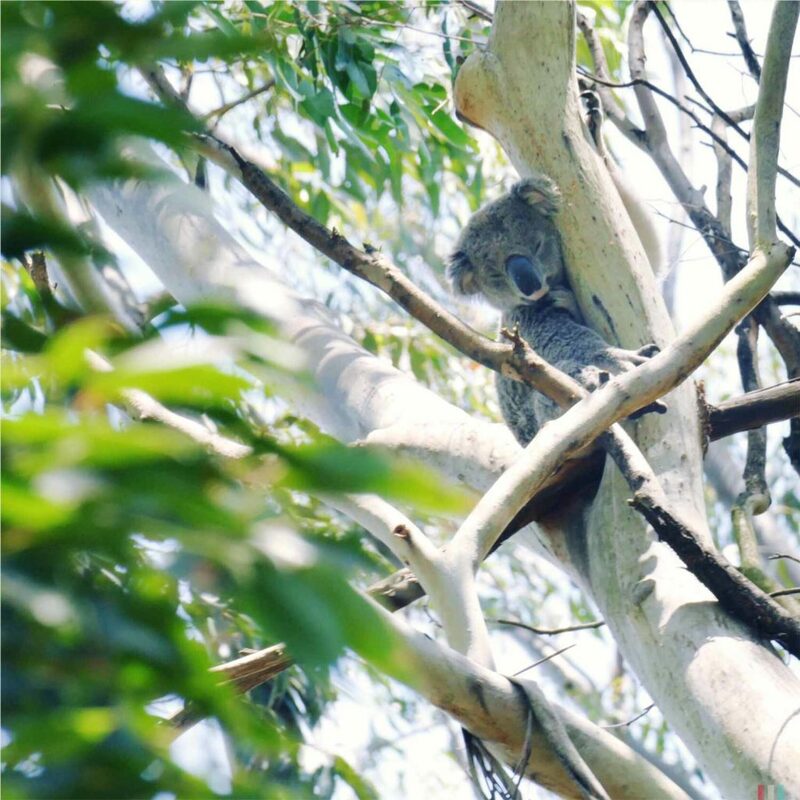 Most koalas live on private land, but they are also found in small parks. And you have to take a very close look to find them: The thicker branches almost cover them completely, so you have to look from all sides of the trees. 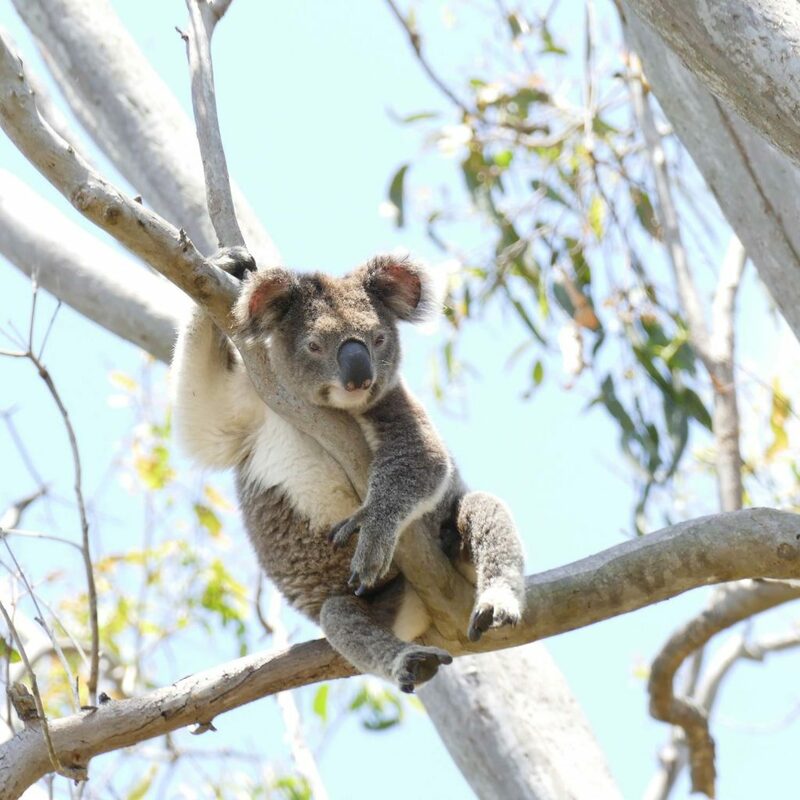 After a week, we were pretty good at it: Theresa has won our little koala-spotting-competition with 7:5. By the way, Koalas only live on the east coast of Australia. We didn’t know that before. 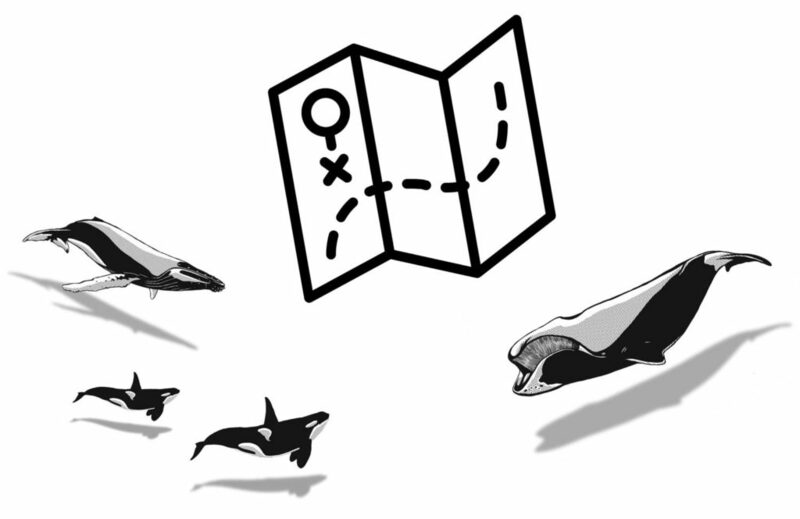 So, in this context, too, it has been quite a good idea to plan our trip following the whales.